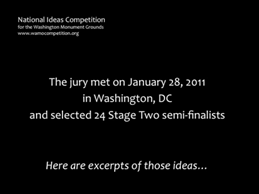 The Stage 1 jury met on January 28, 2011 and selected 24 semi-finalists who were directed to refine their ideas to be submitted by June 2nd. 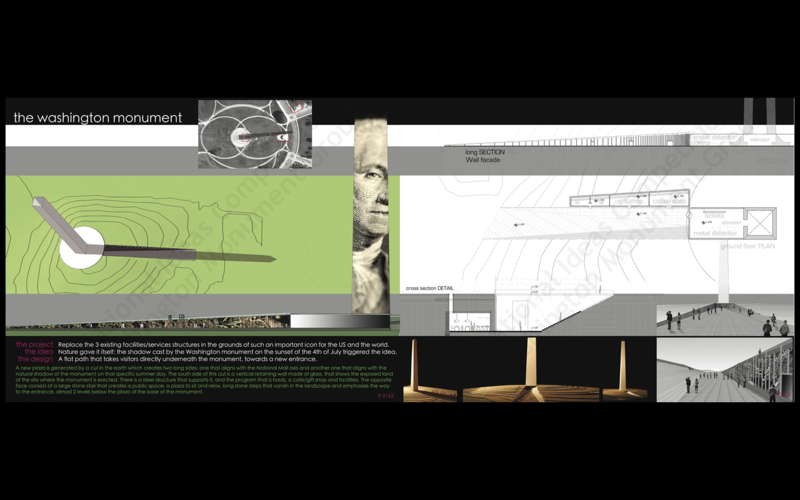 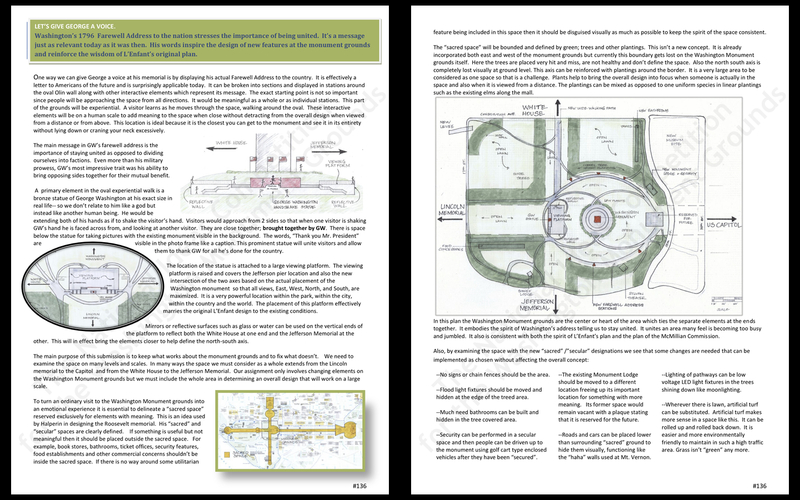 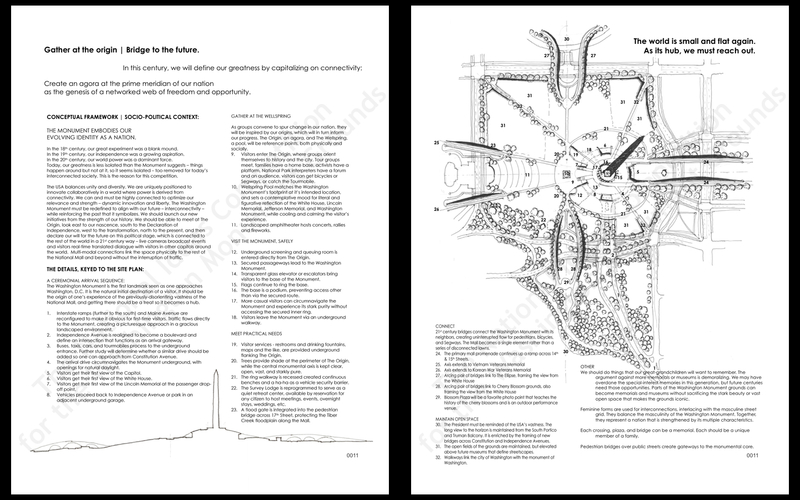 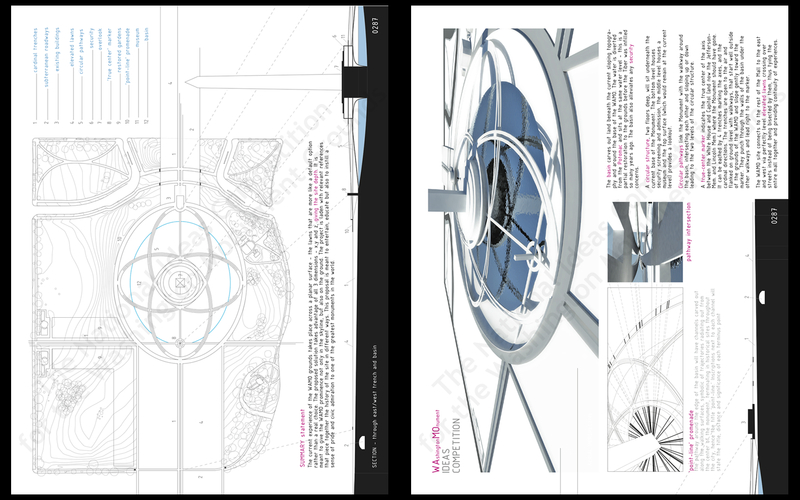 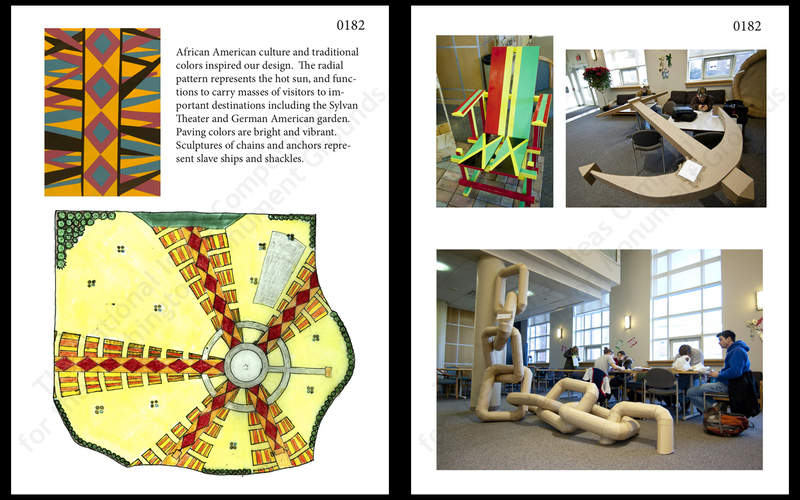 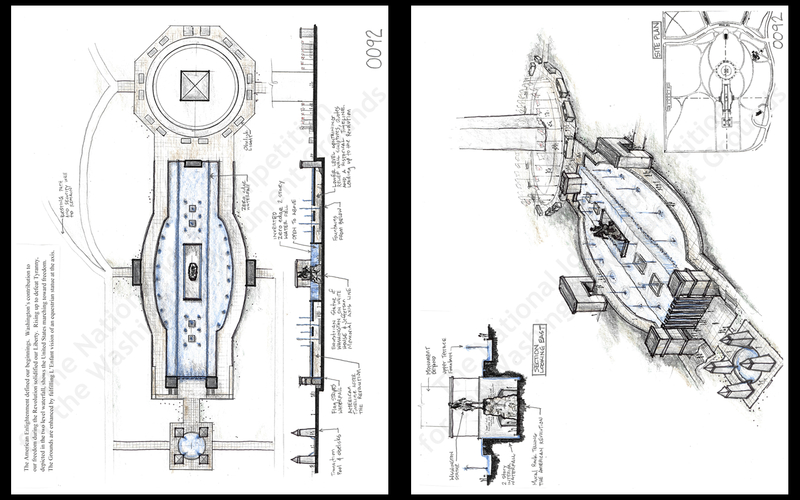 Additional information was provided in the Stage 2 General Design Guidelines. 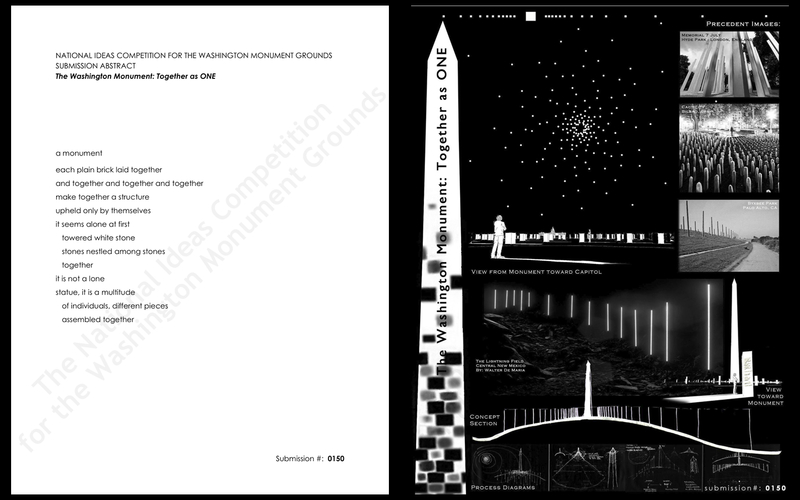 The Stage 2 jury selected 6 winning ideas on June 23, 2011. 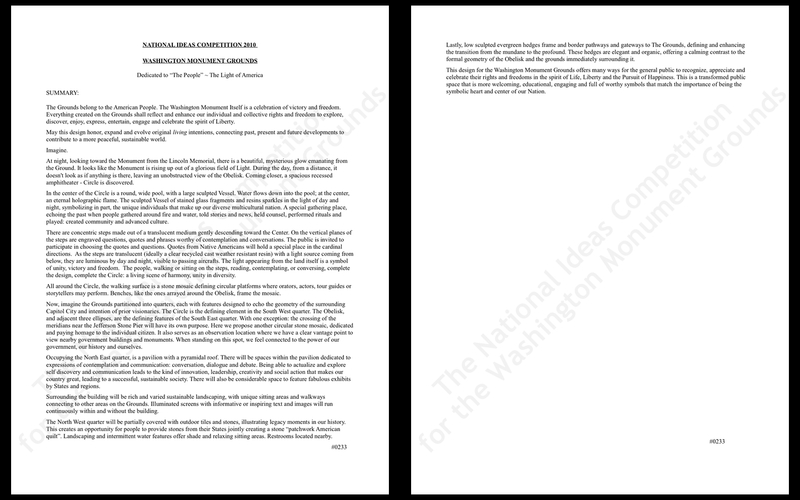 Read the press release. 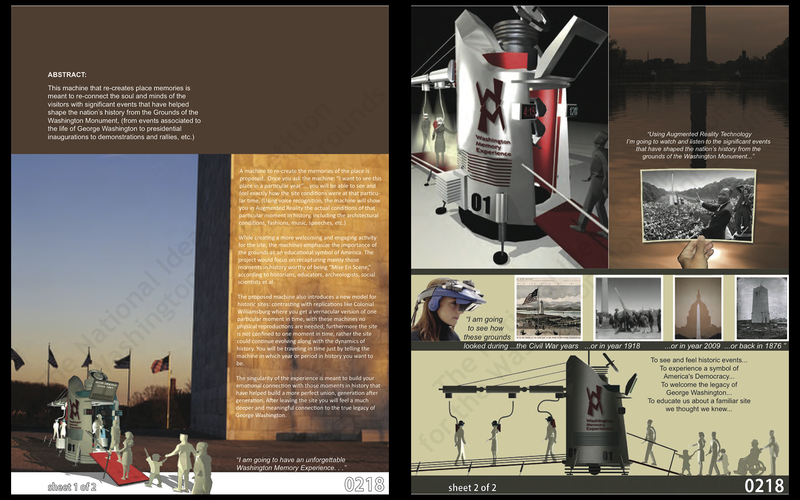 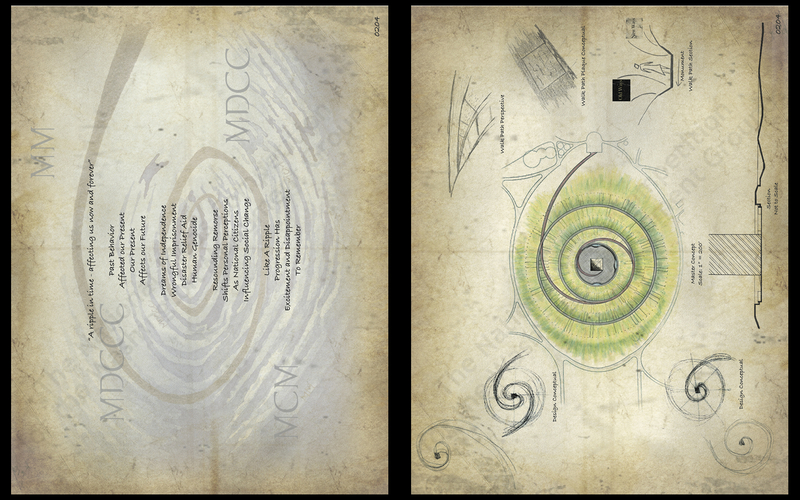 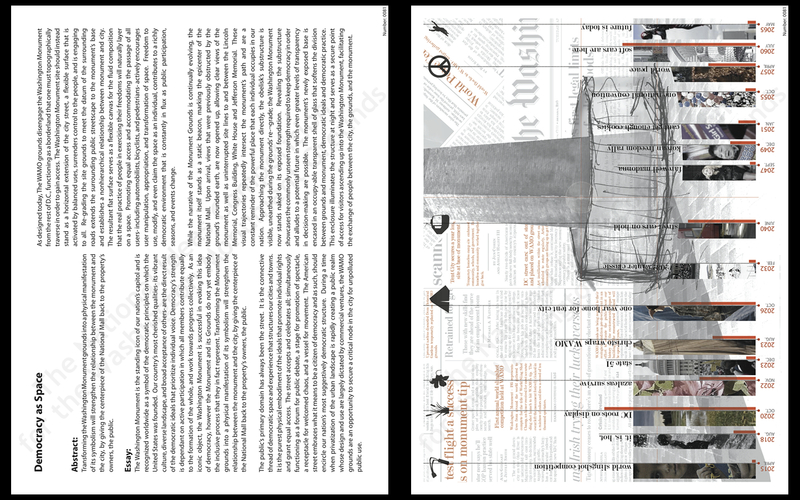 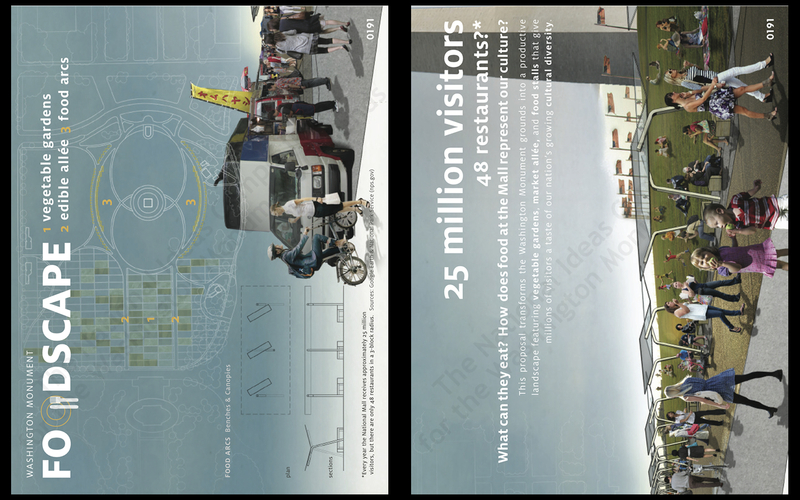 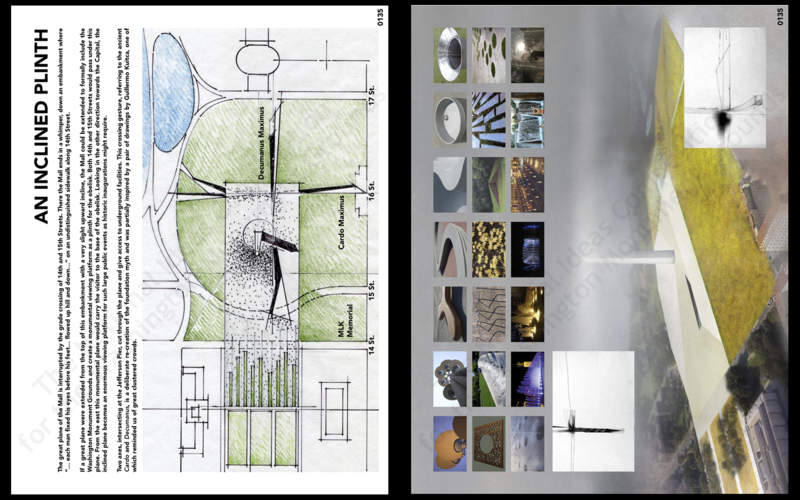 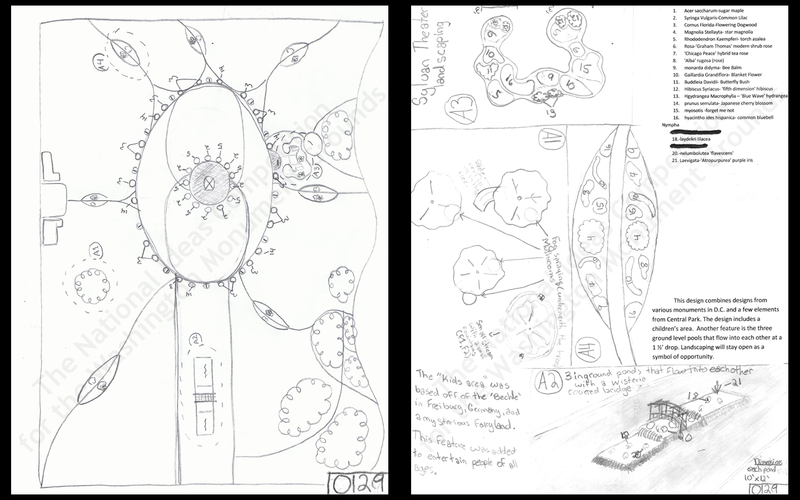 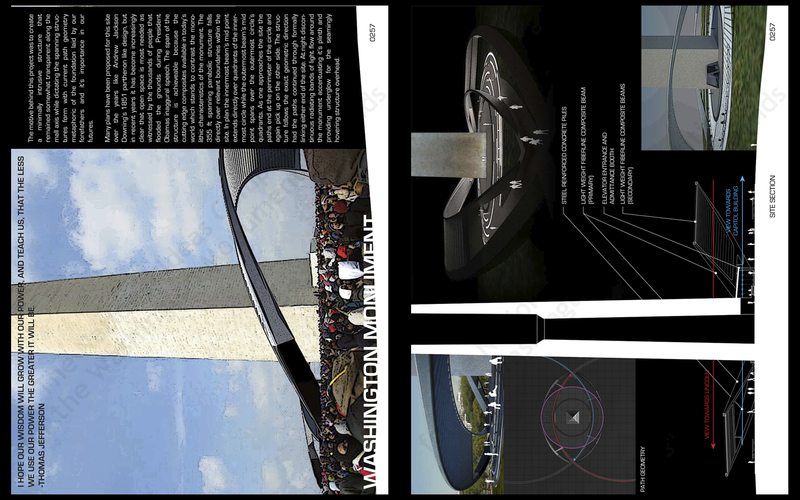 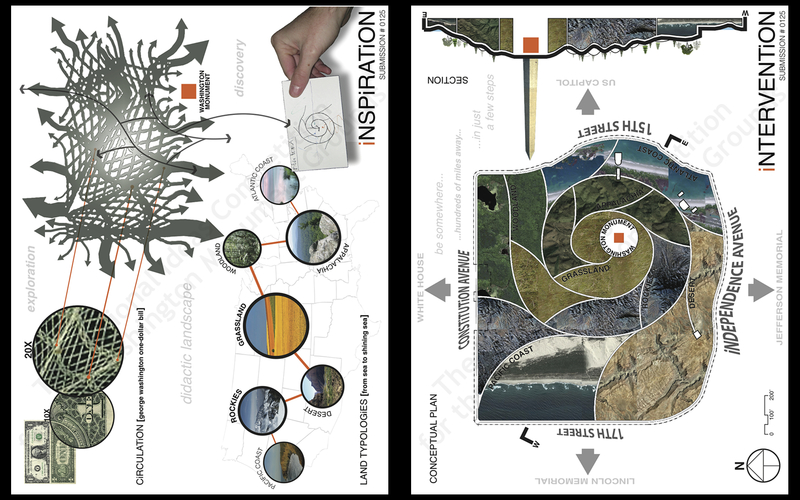 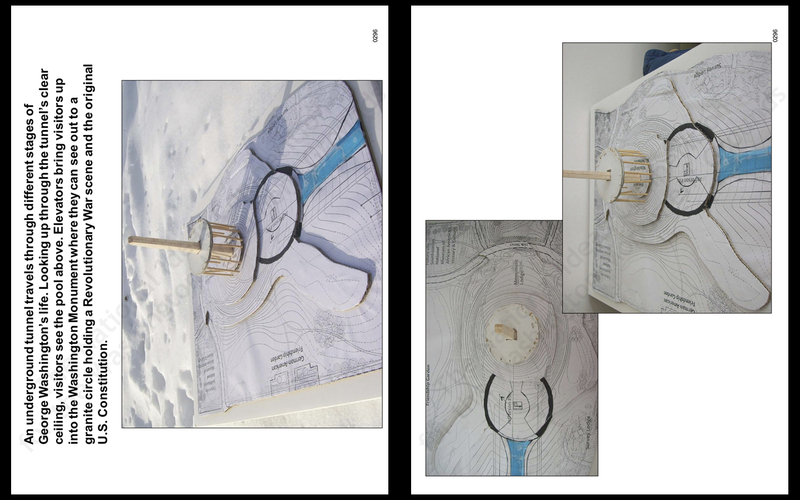 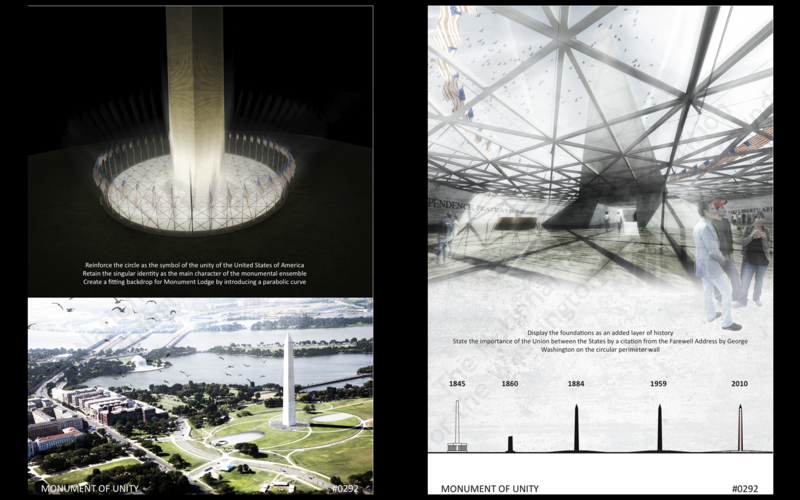 In Stage 2, the jury would like to see a deeper level of visionary thinking about the future of this symbolic landscape. 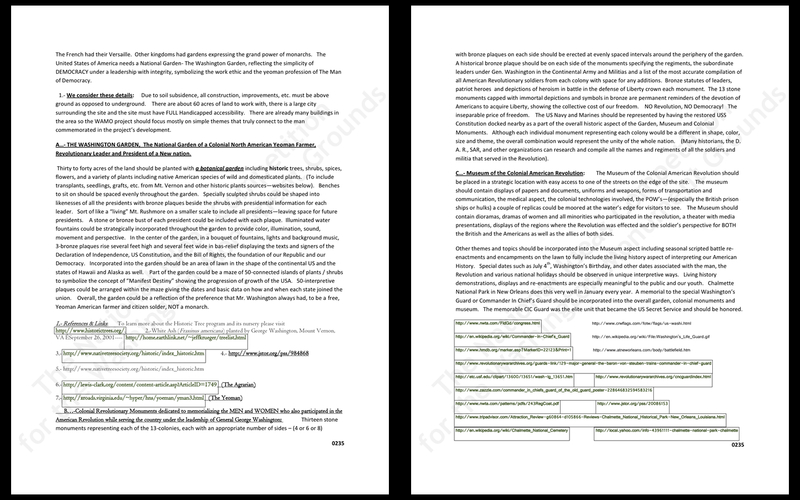 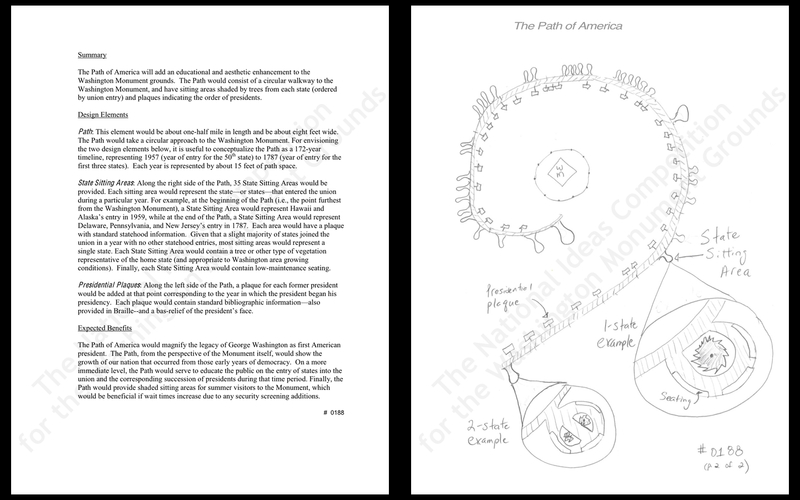 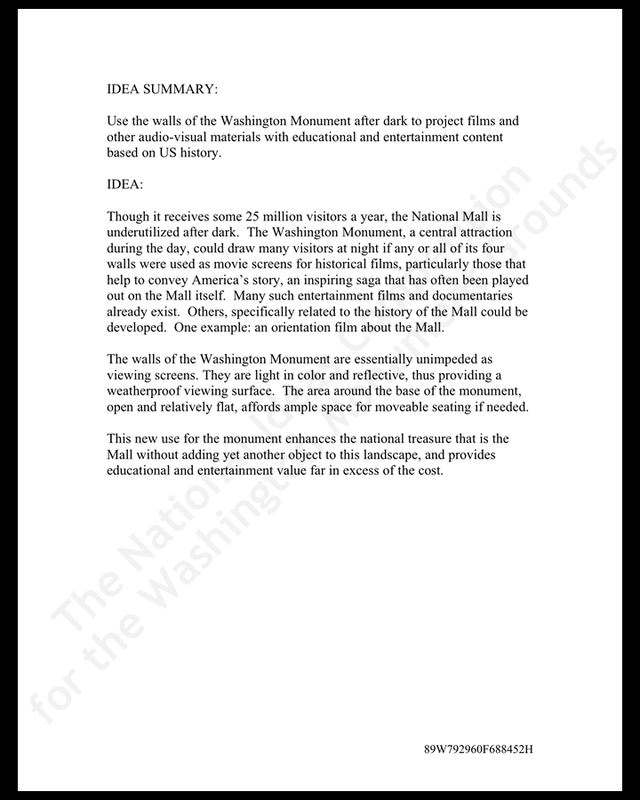 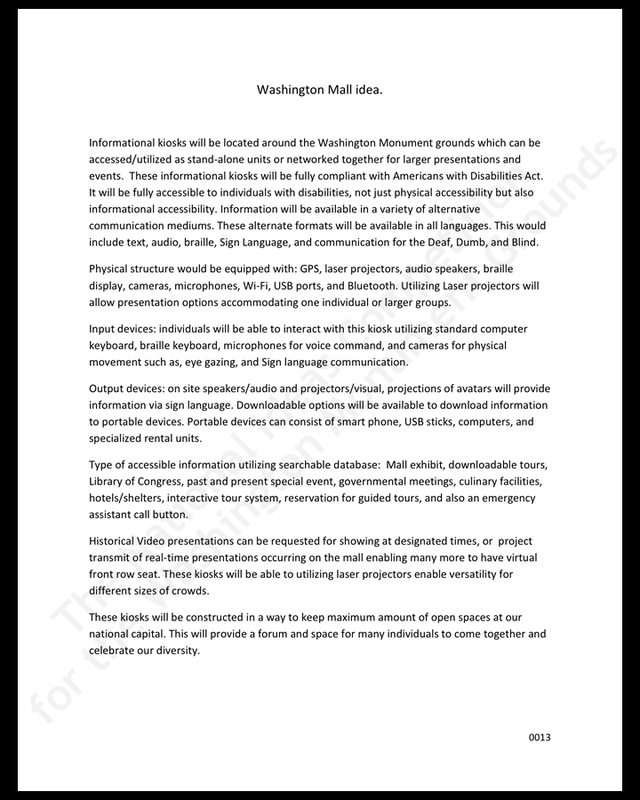 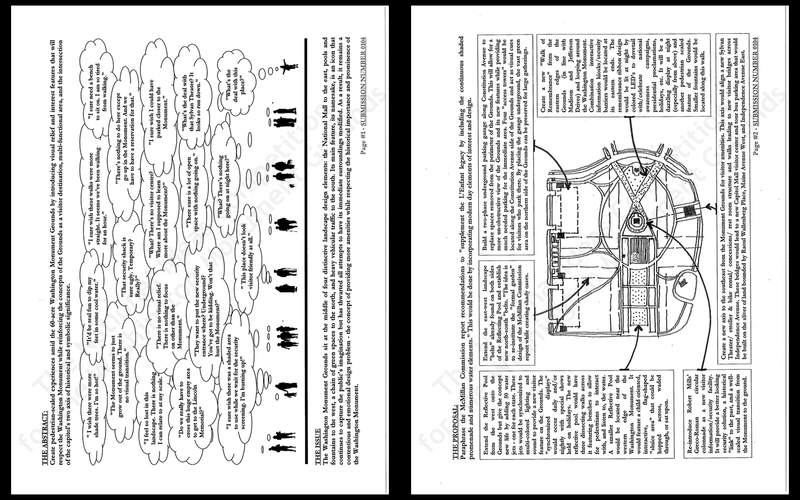 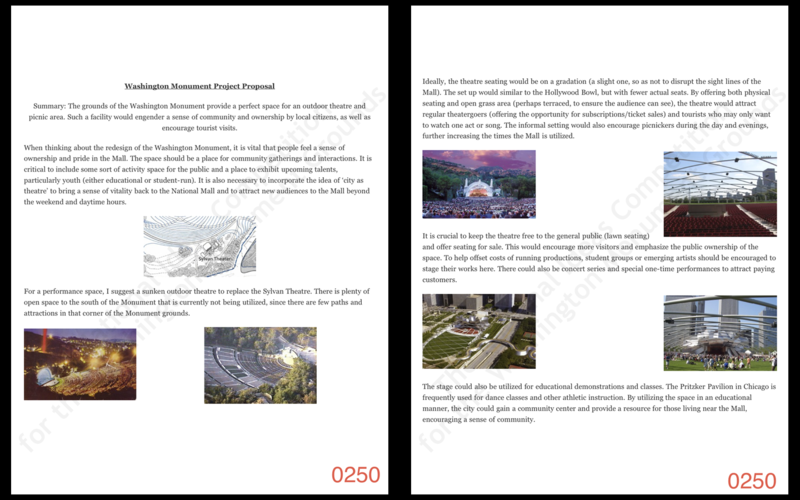 Each of you has received specific comments related to your own idea proposal. 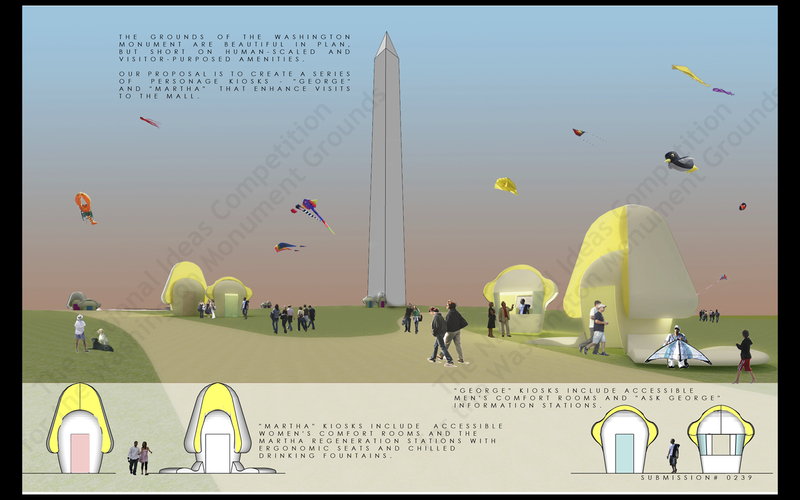 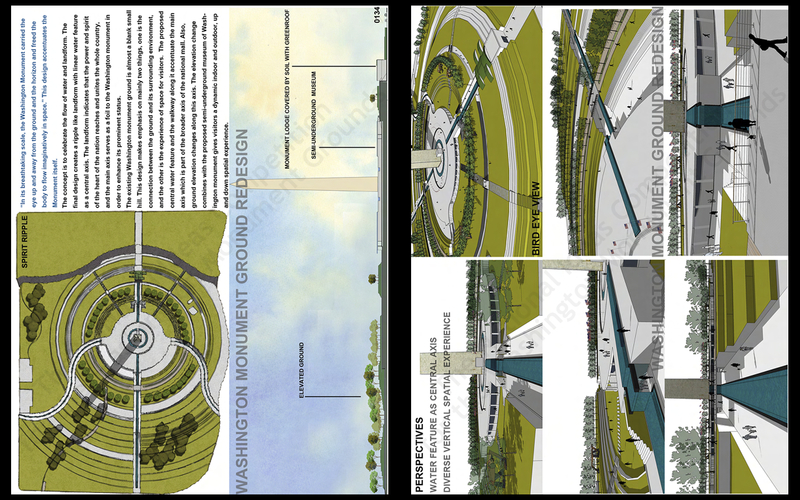 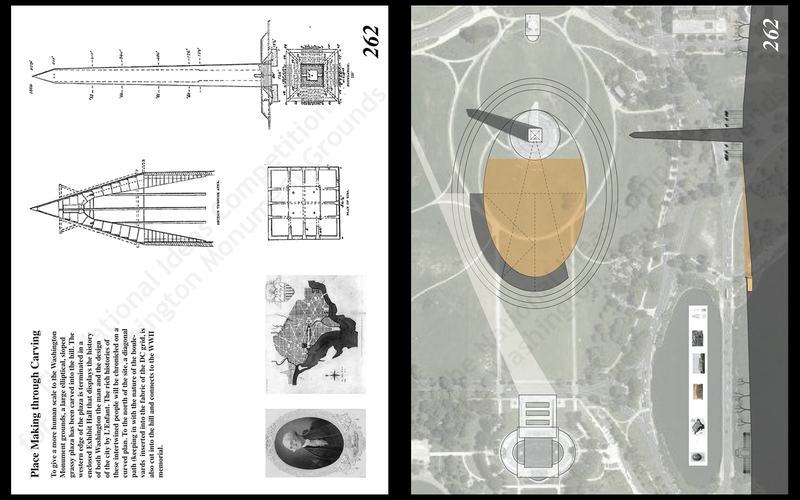 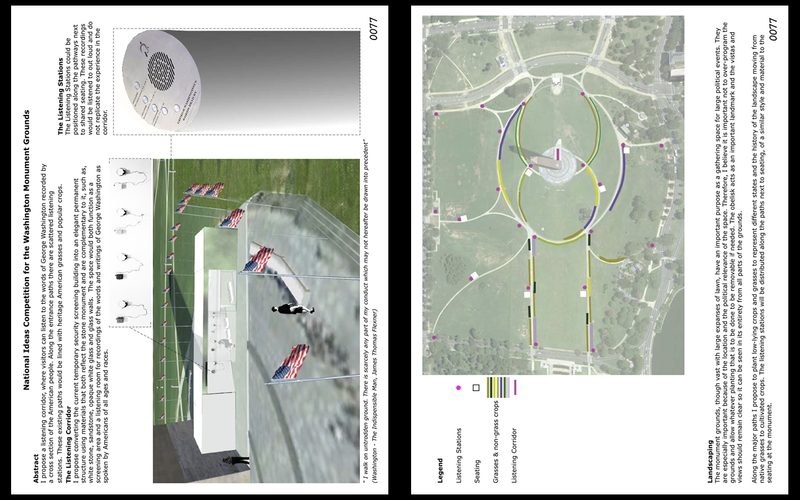 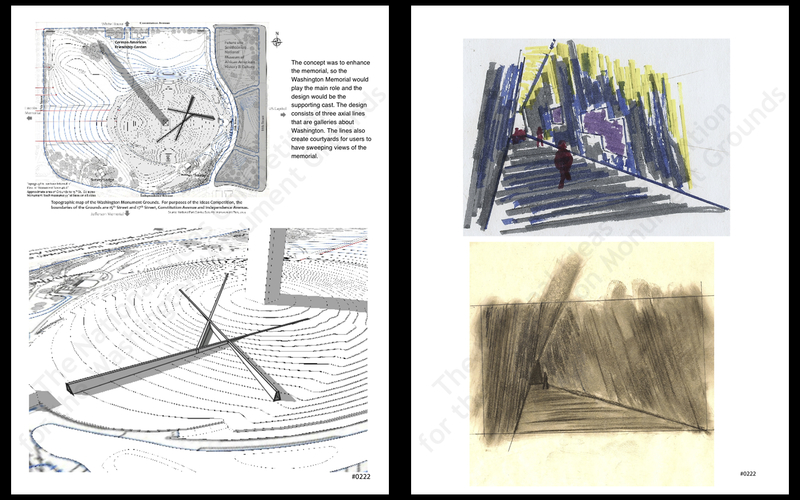 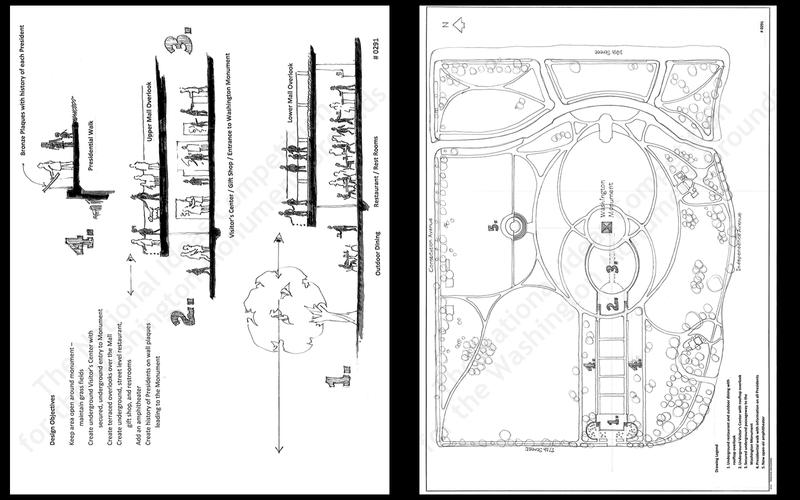 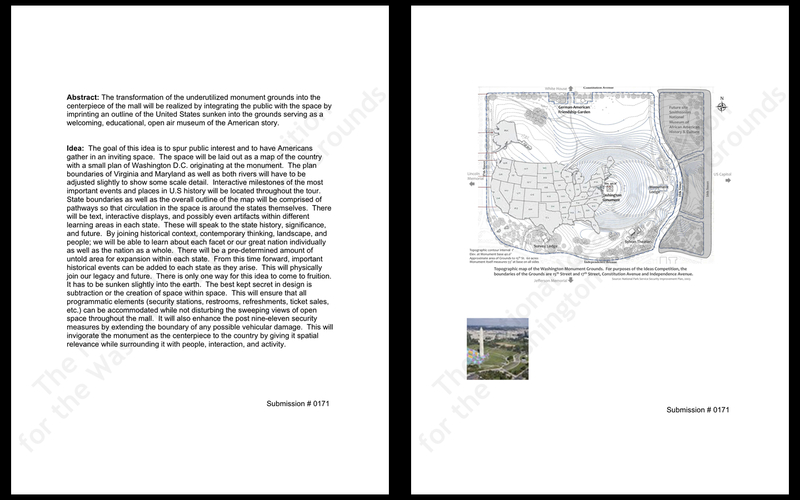 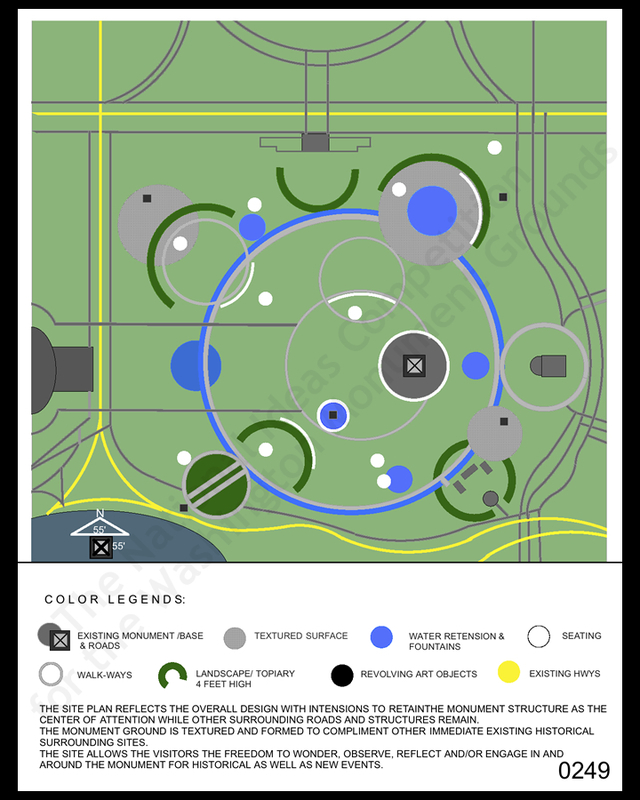 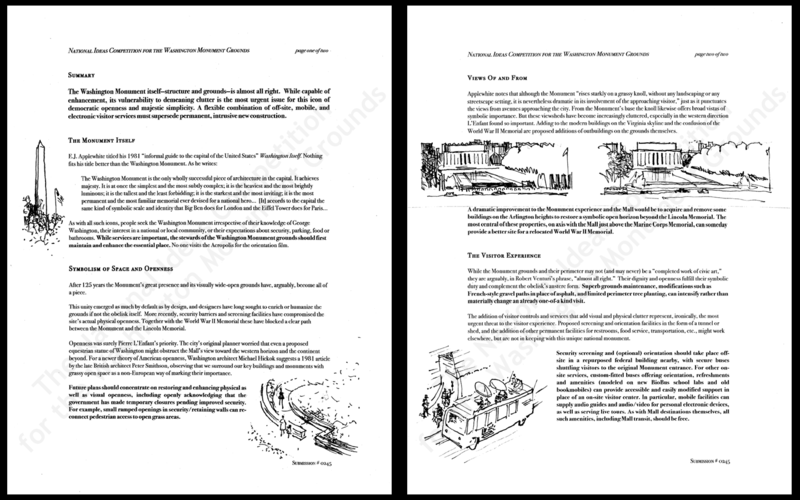 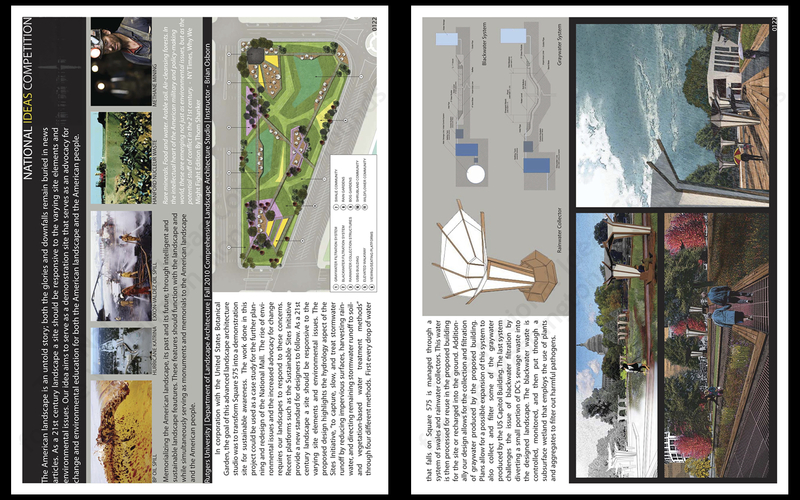 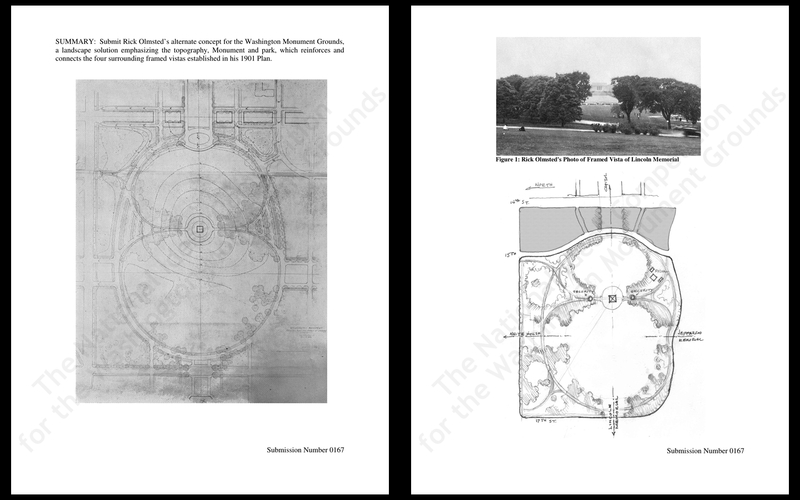 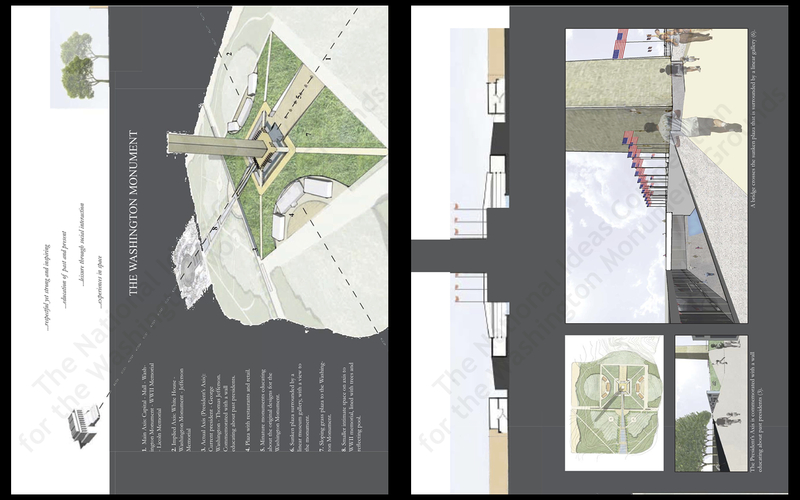 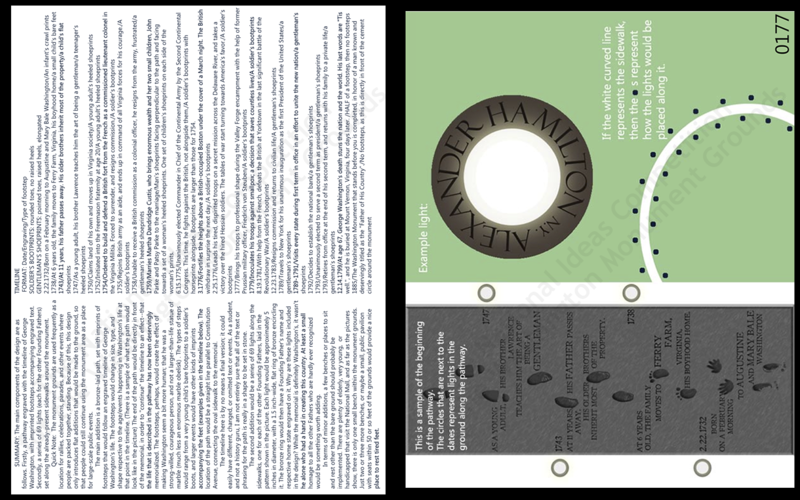 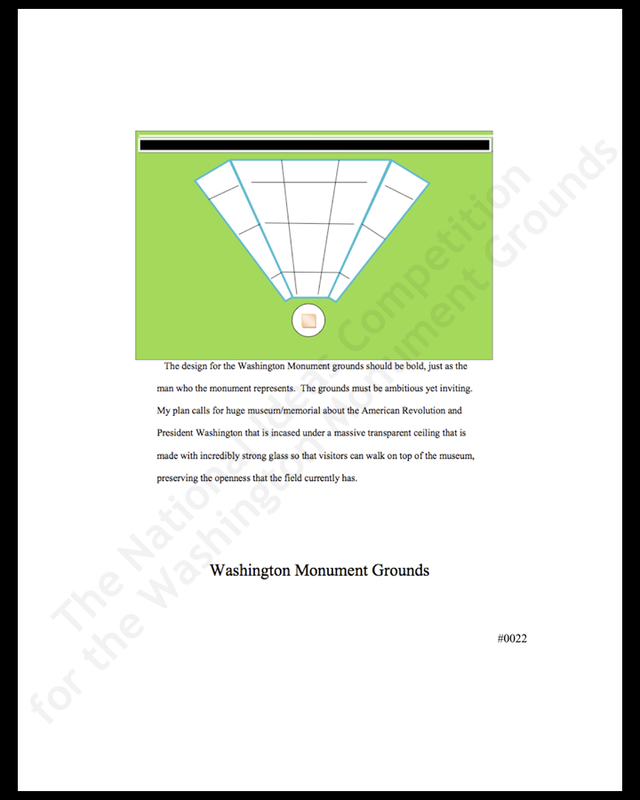 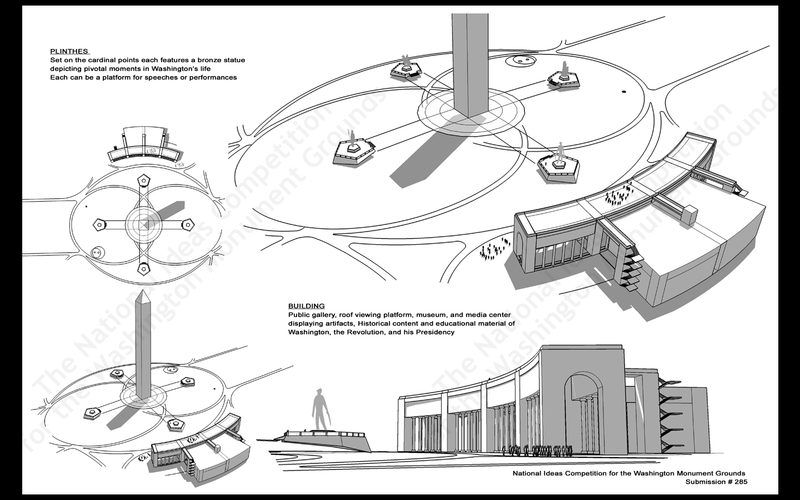 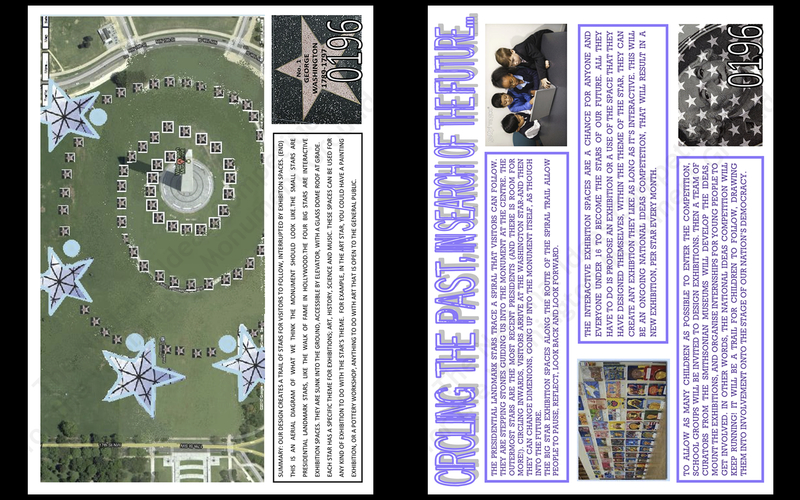 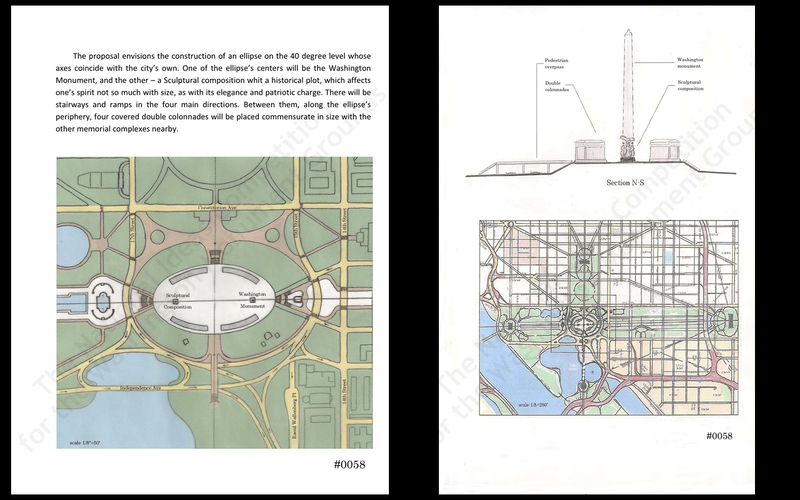 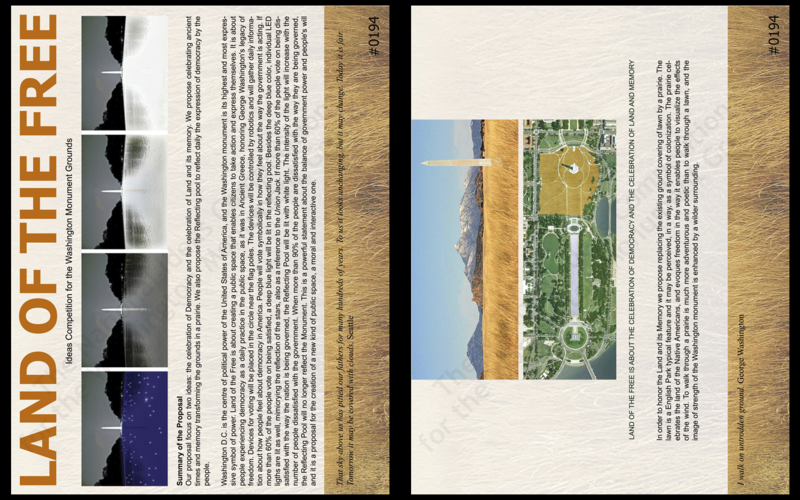 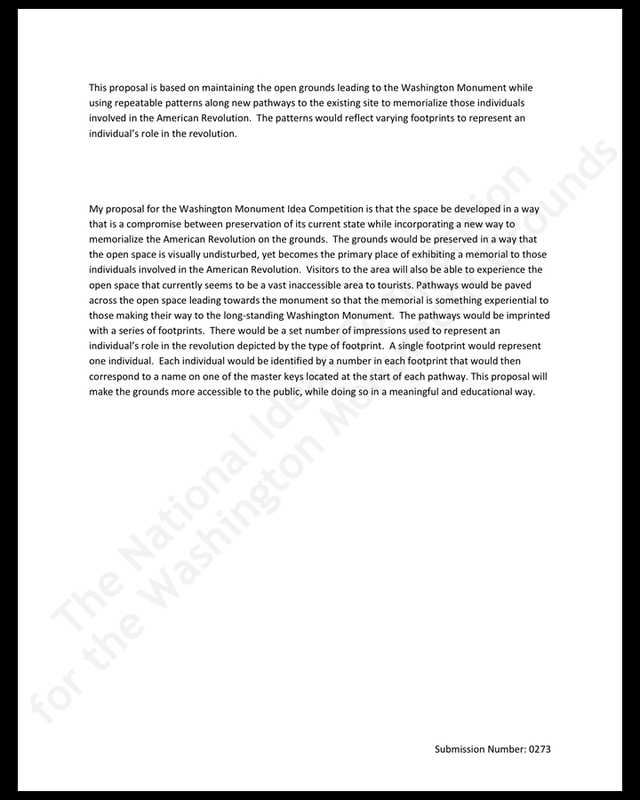 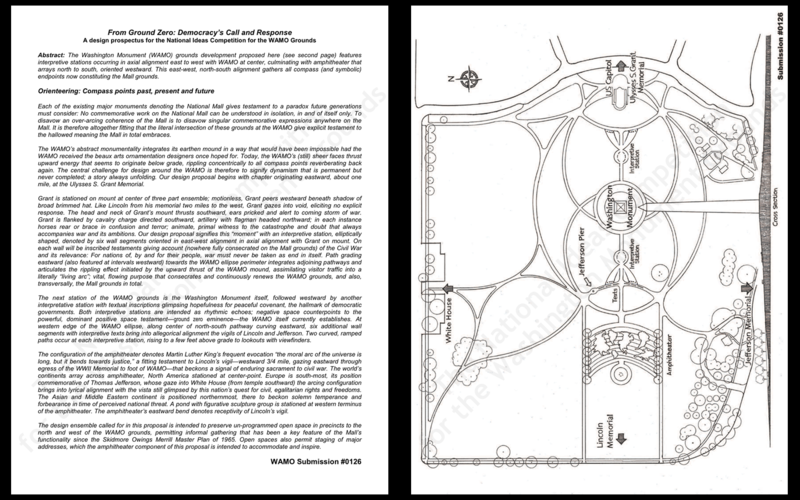 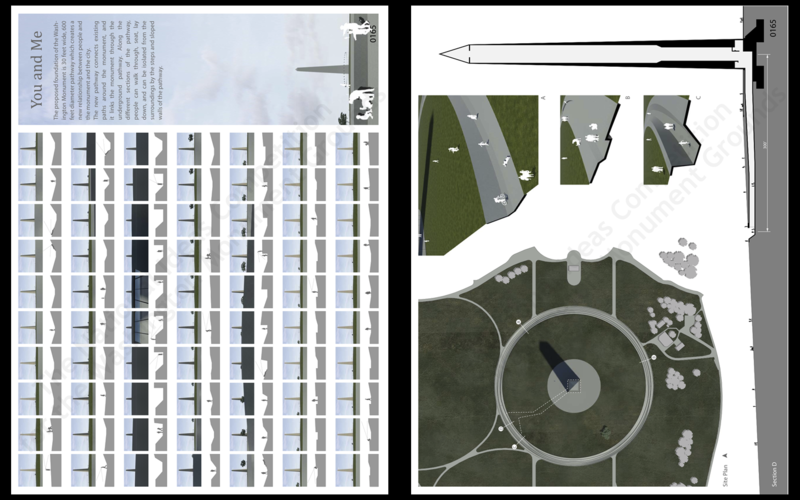 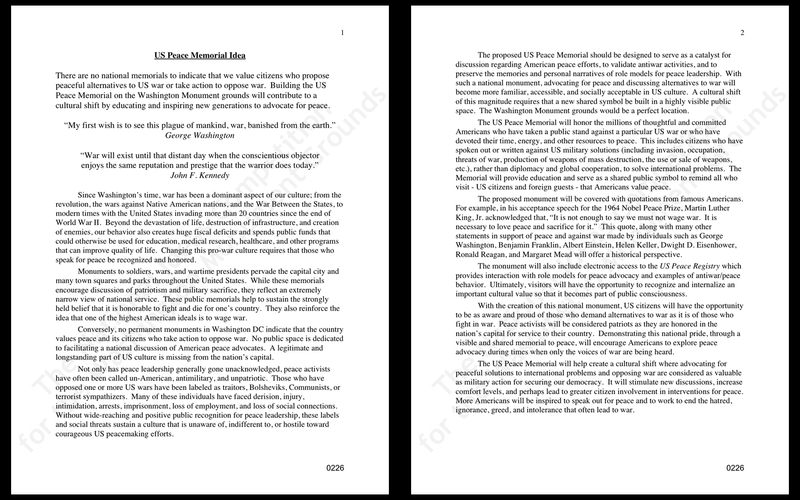 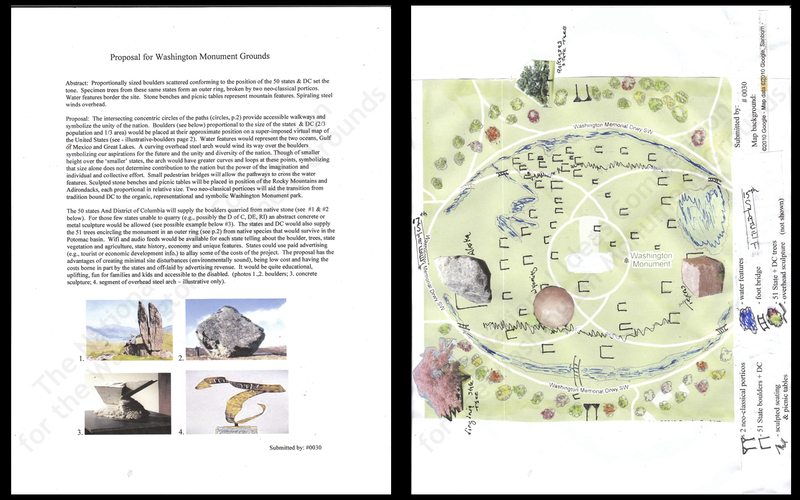 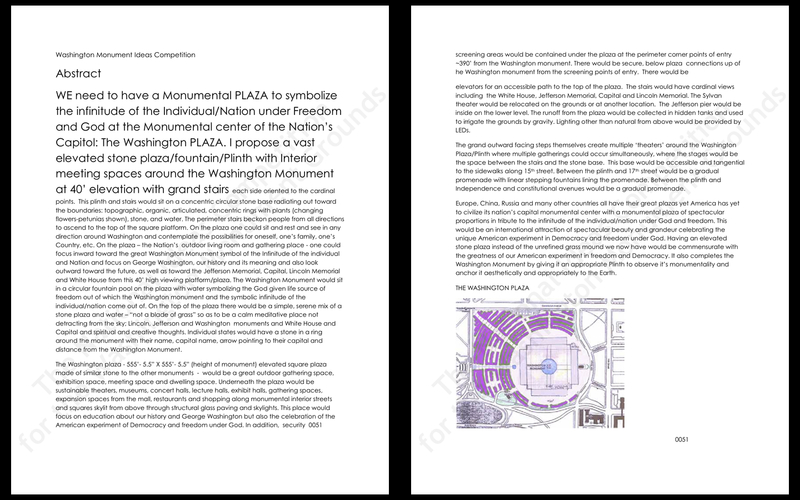 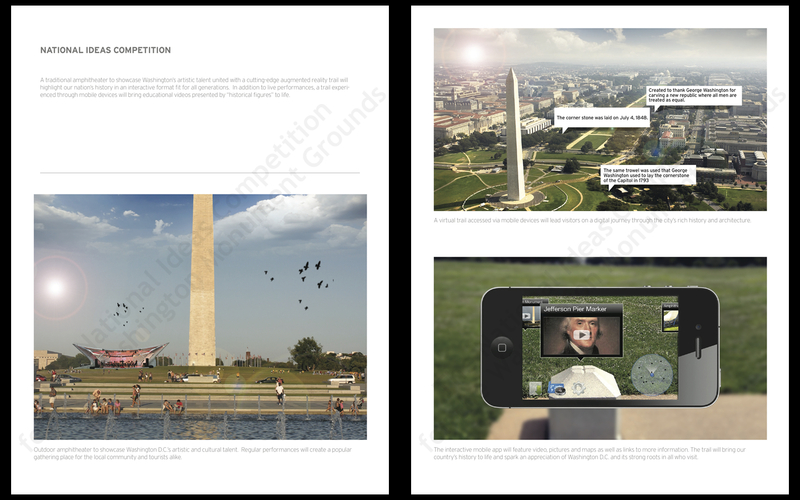 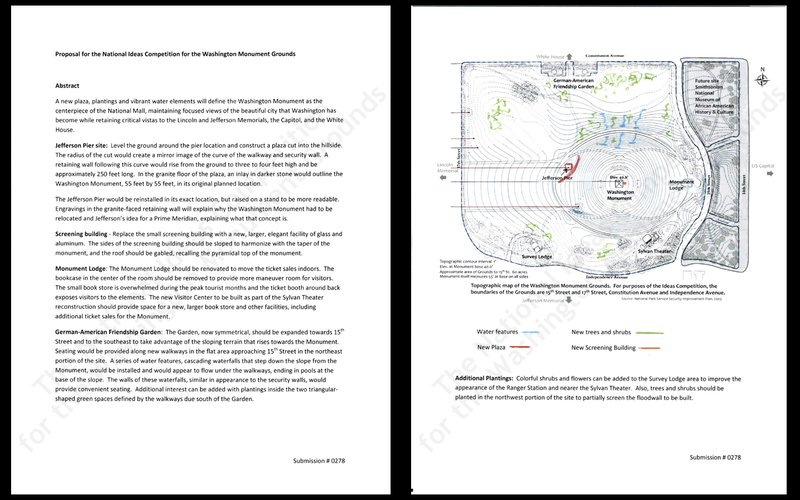 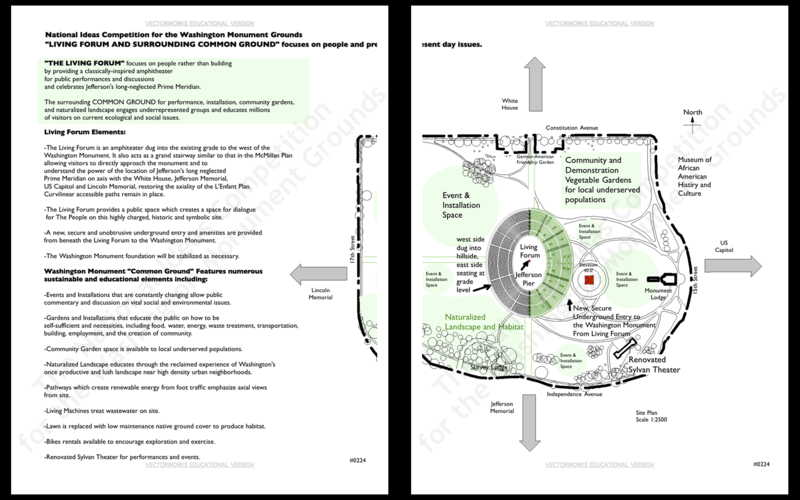 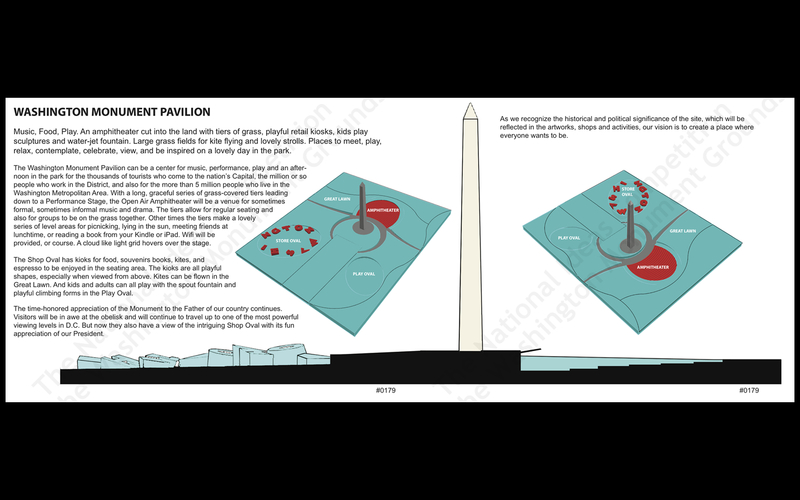 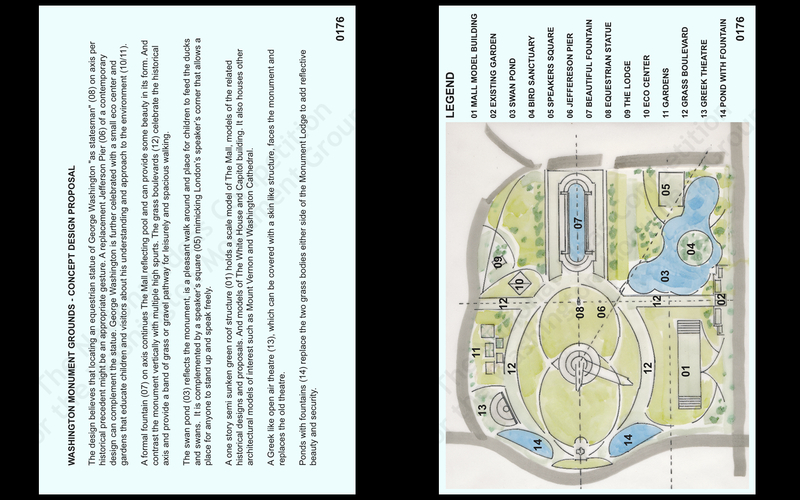 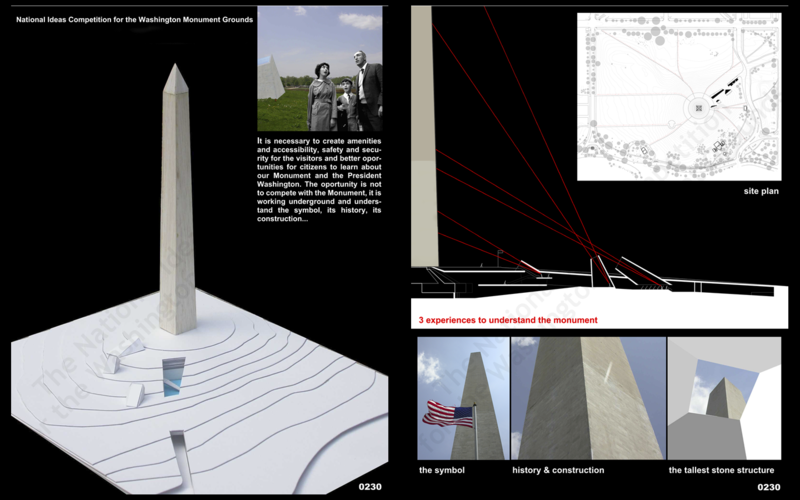 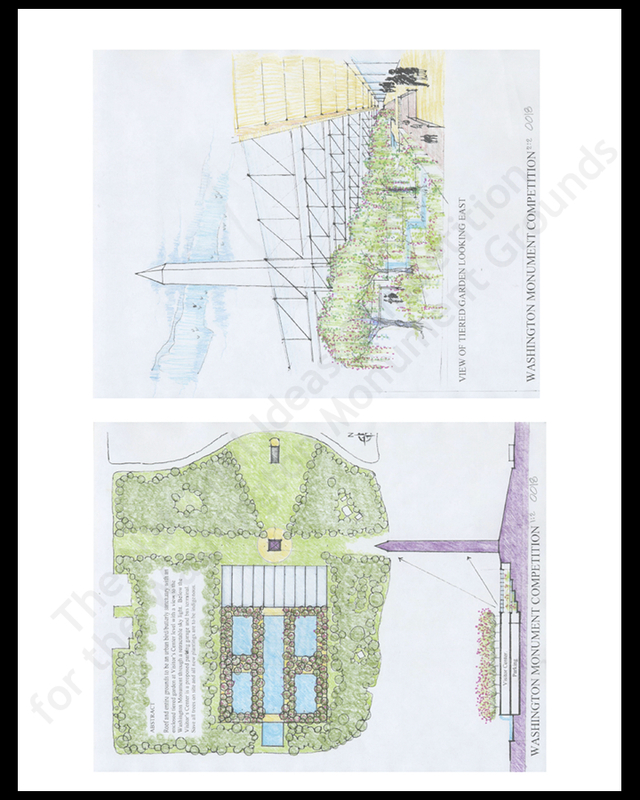 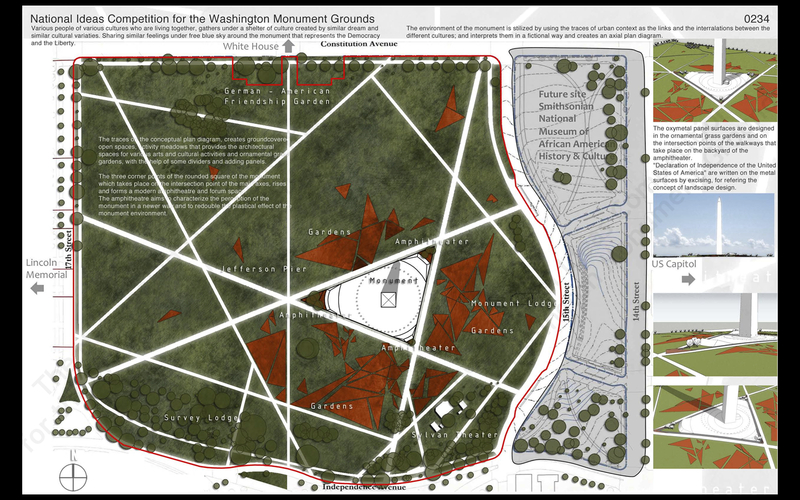 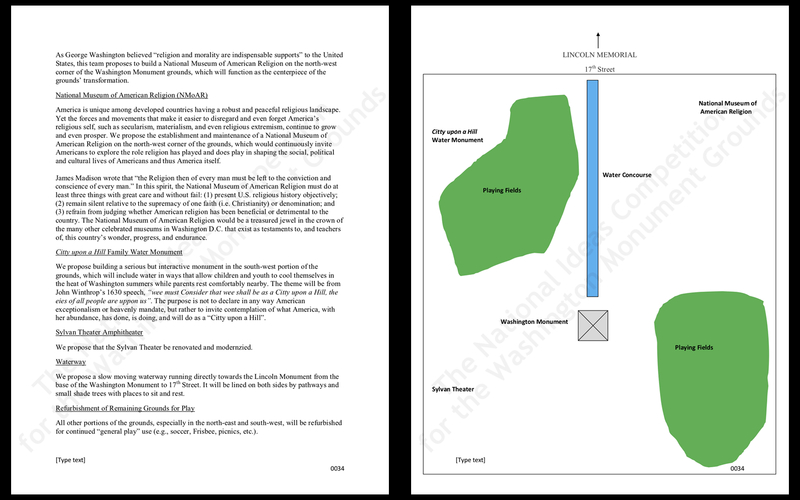 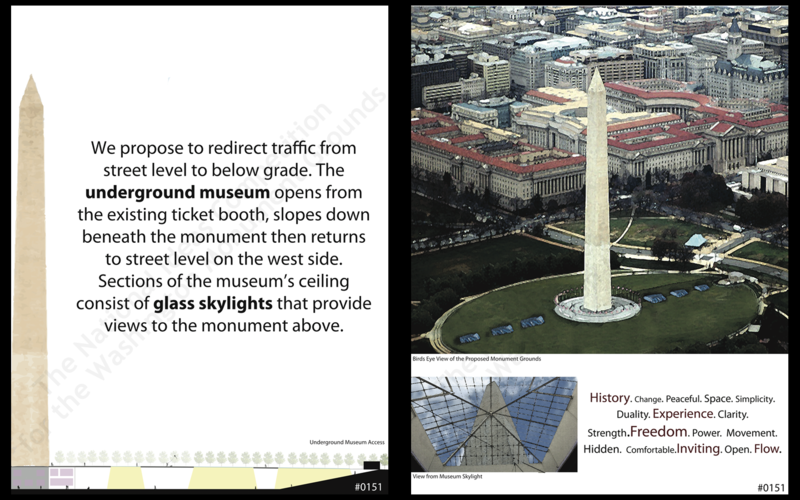 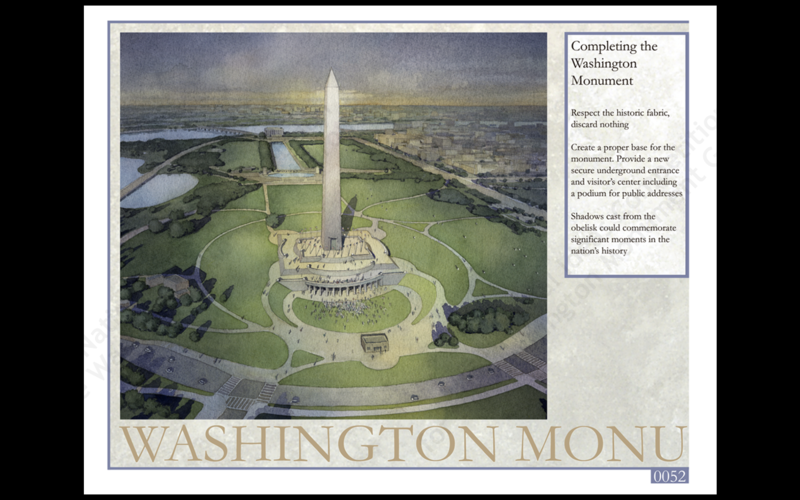 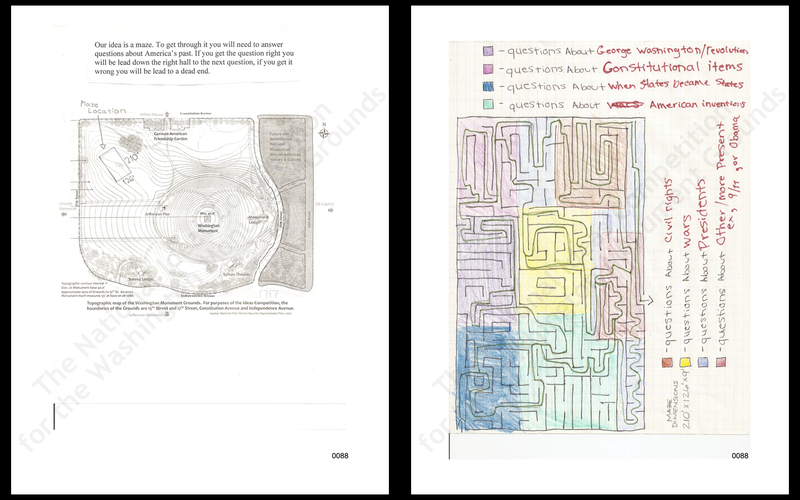 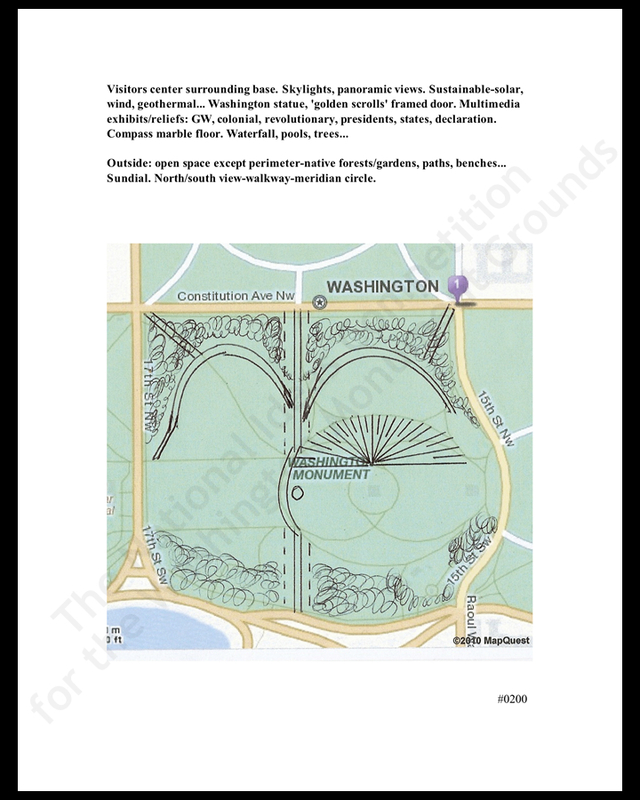 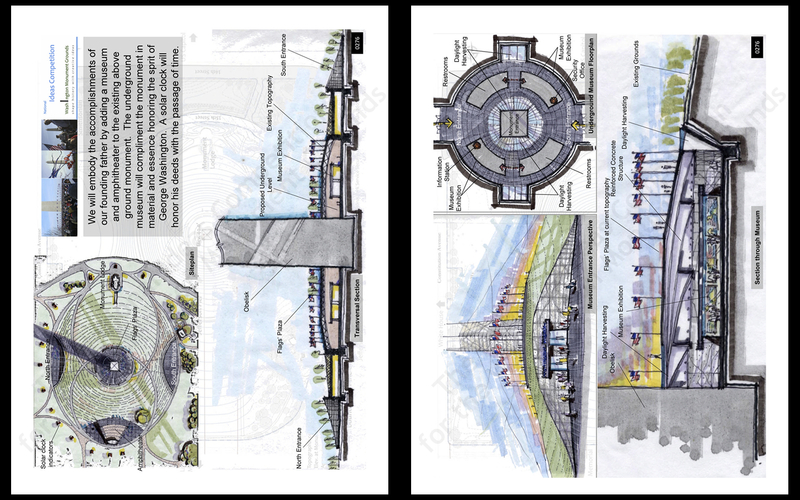 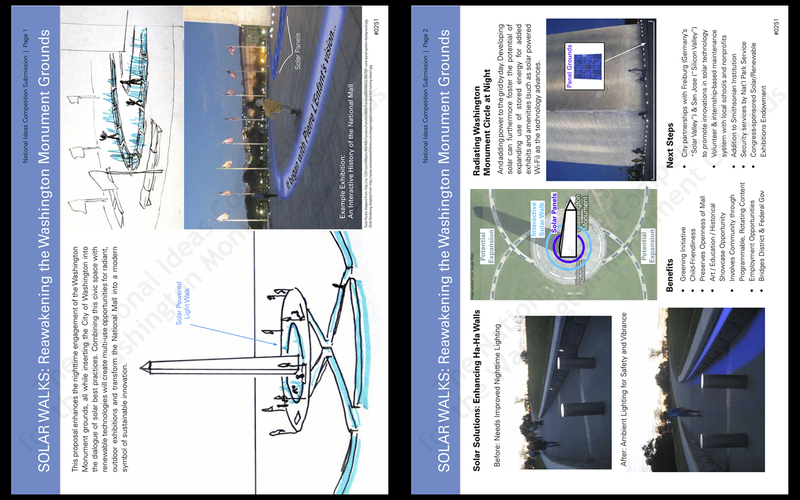 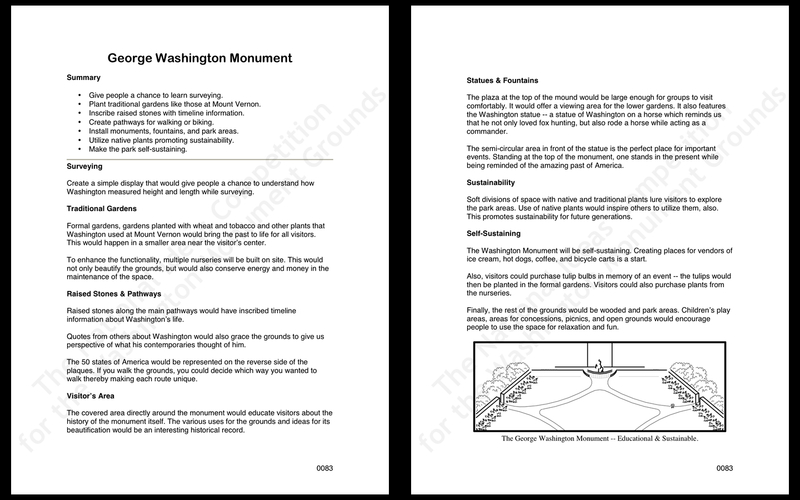 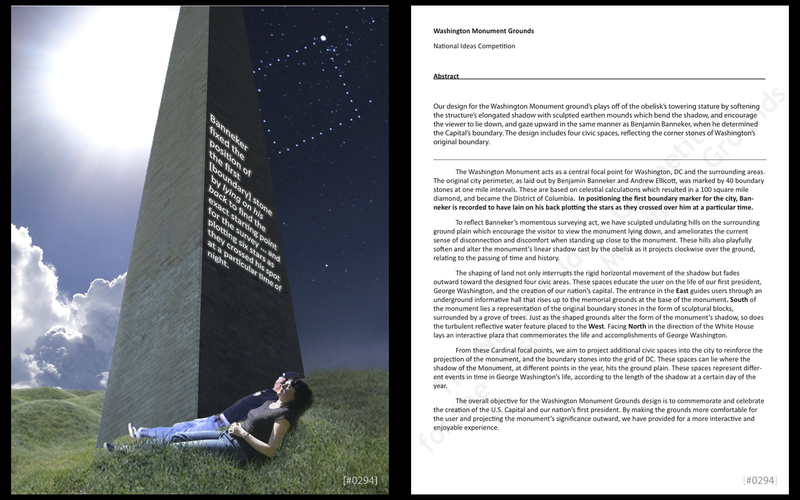 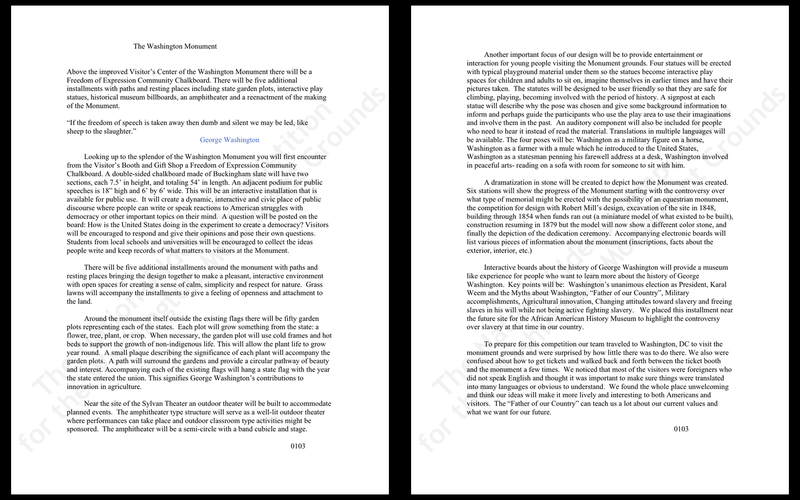 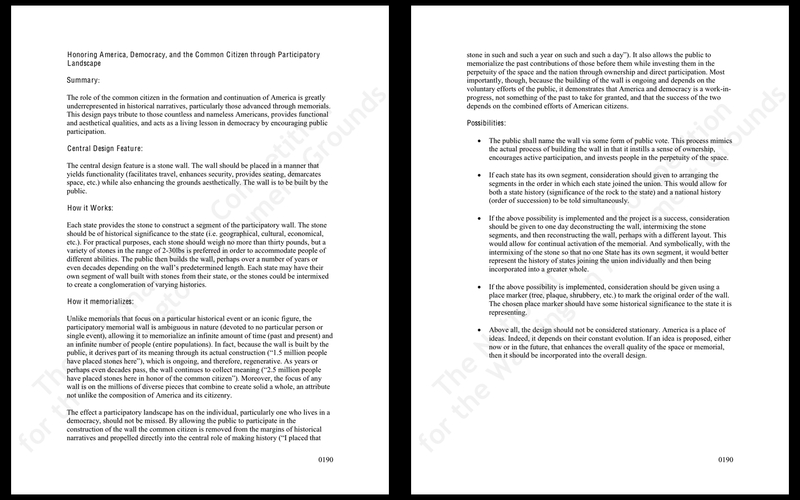 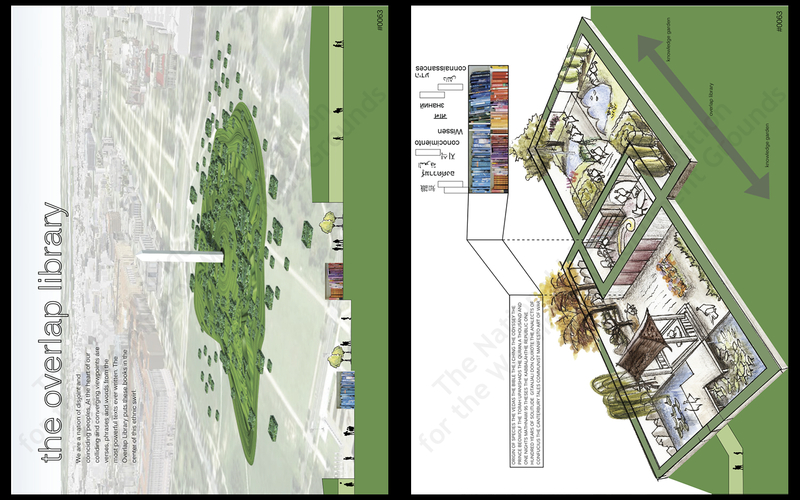 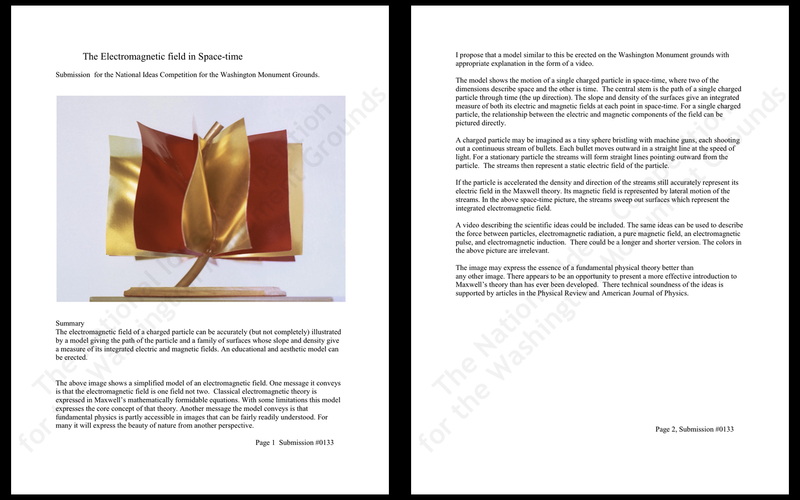 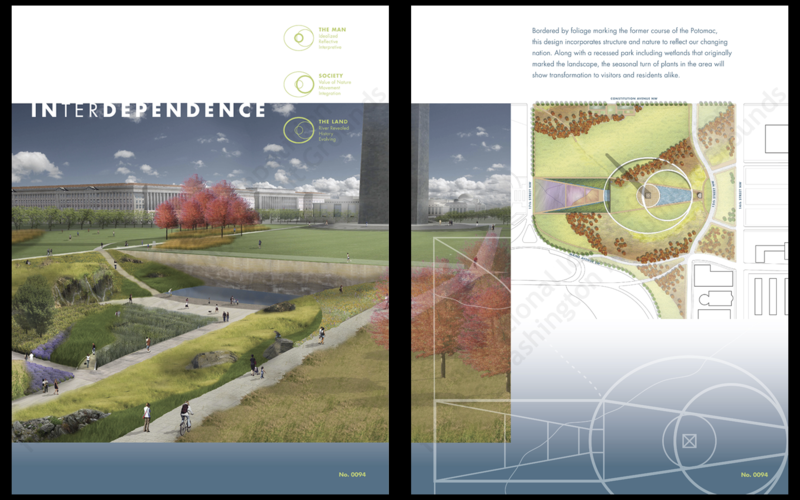 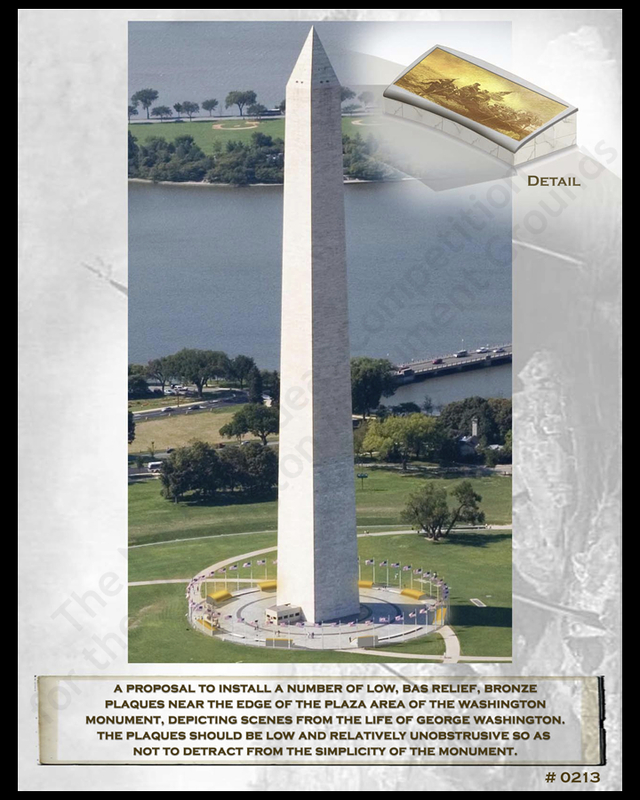 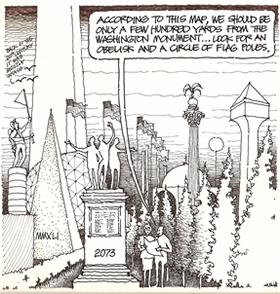 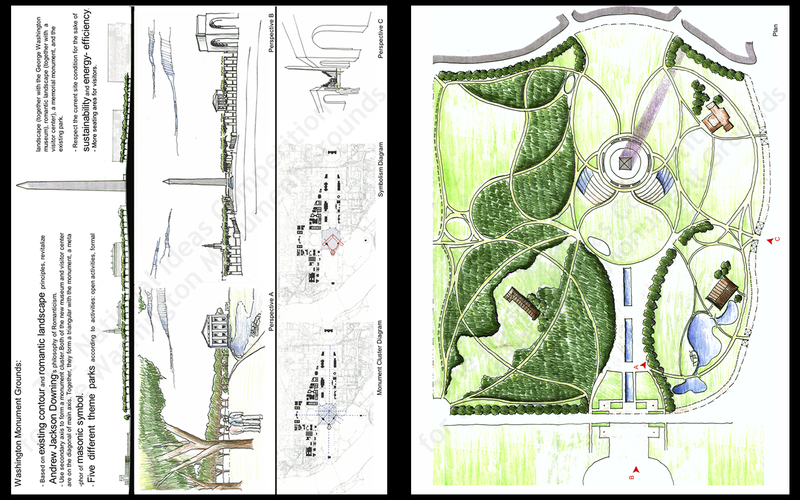 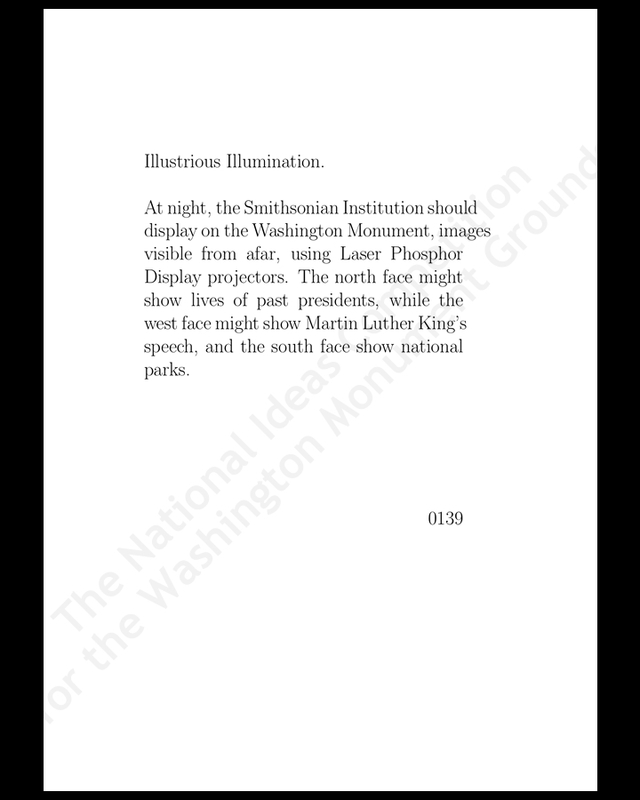 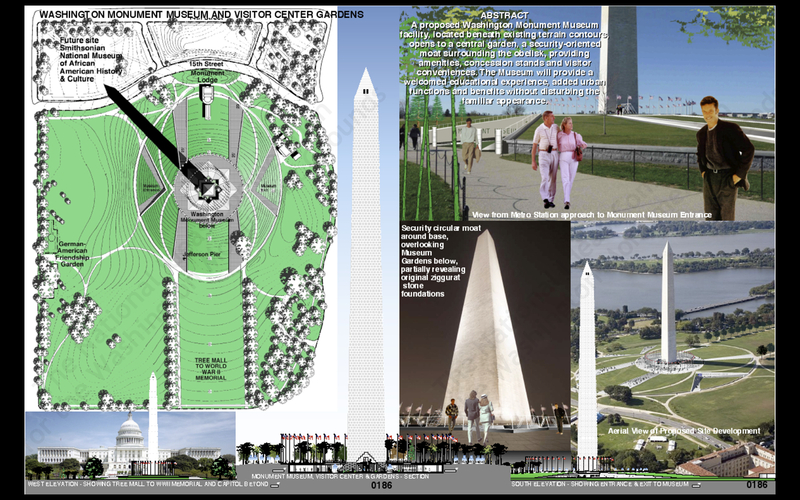 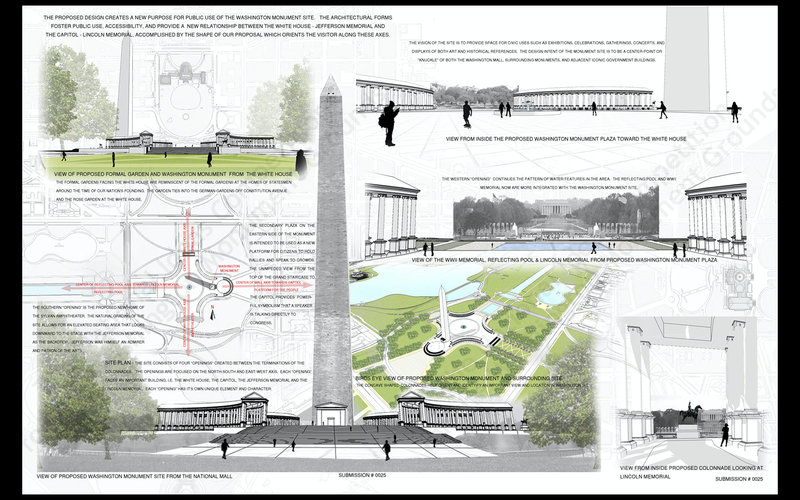 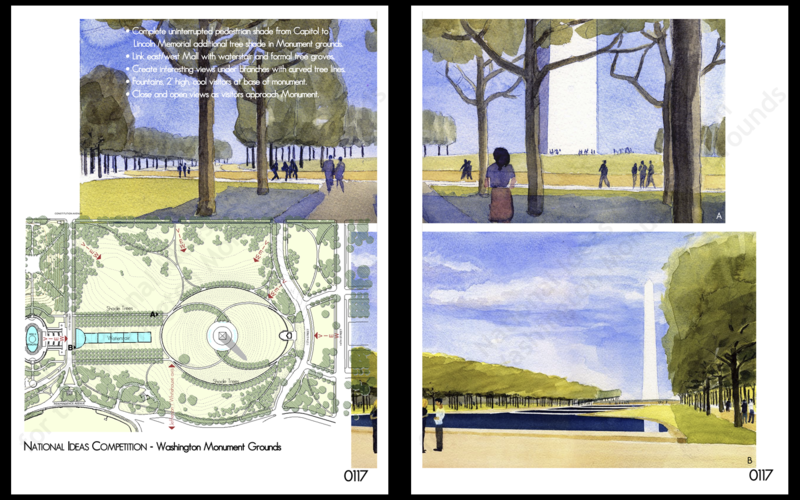 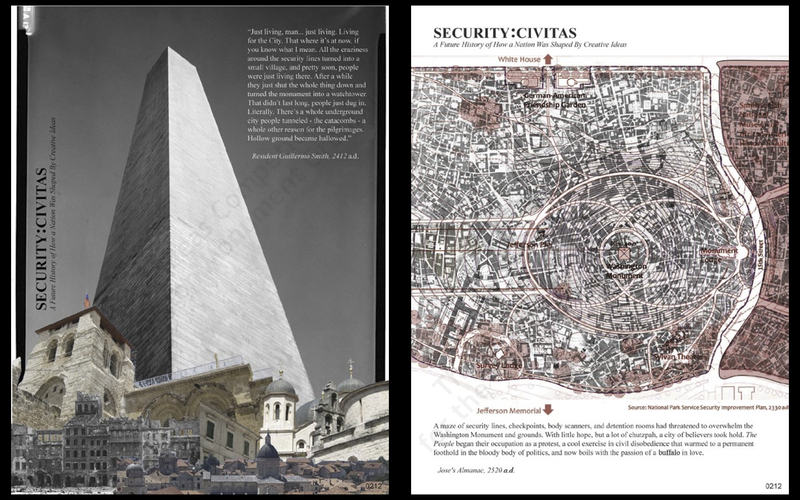 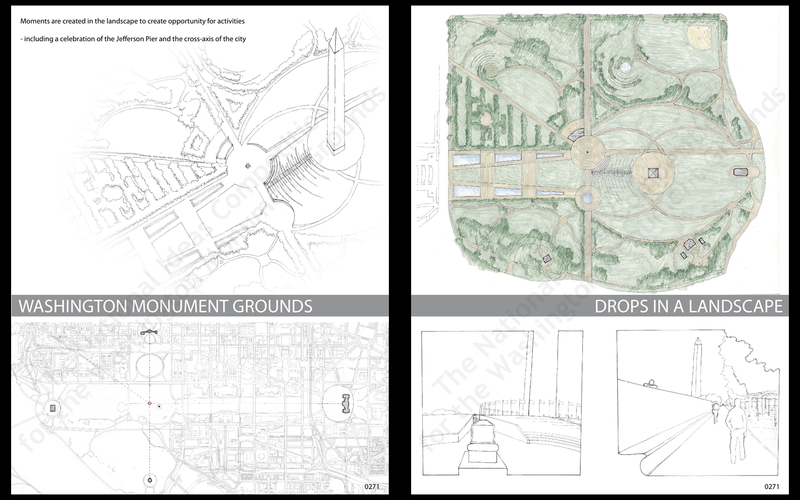 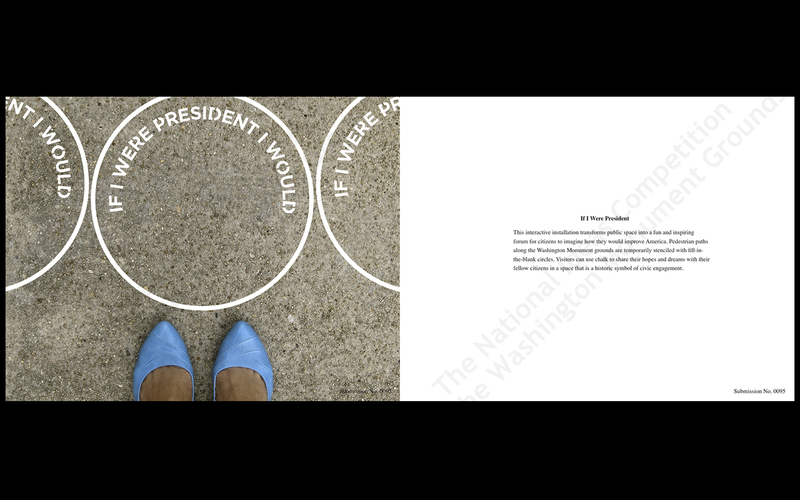 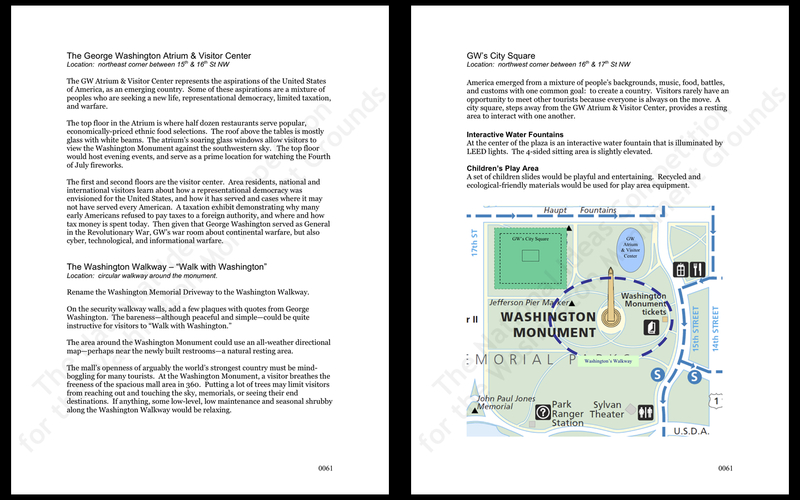 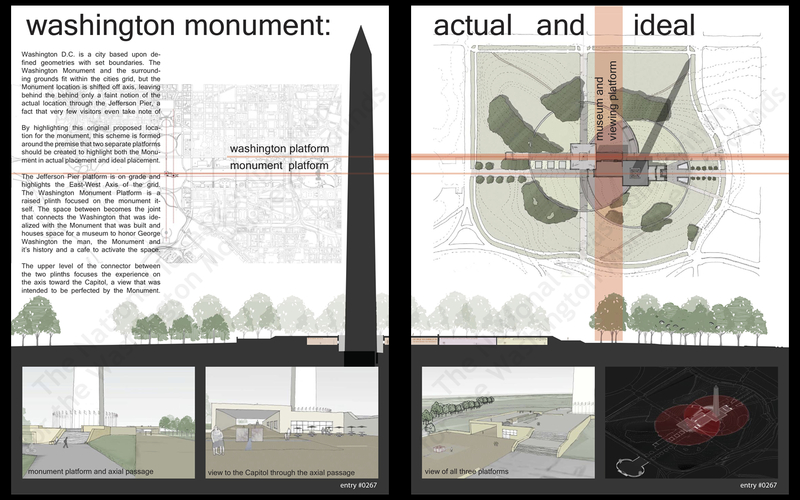 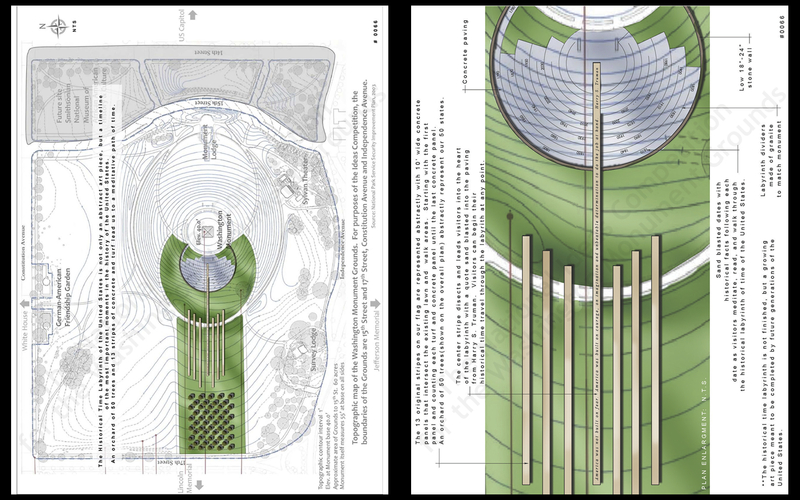 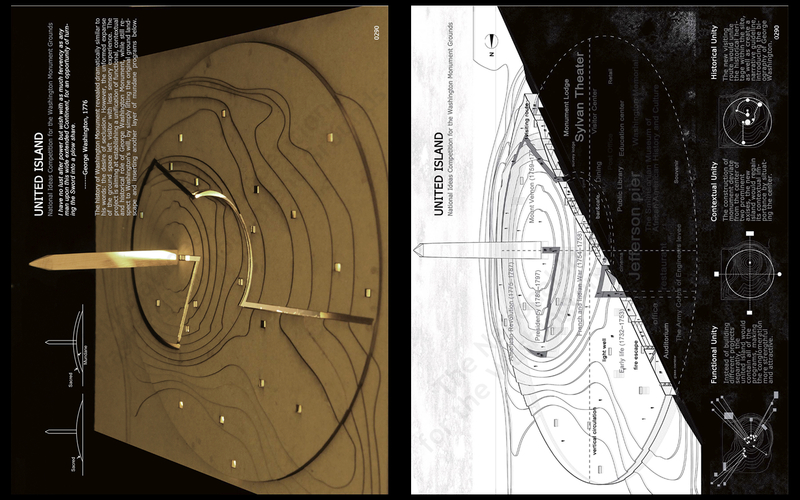 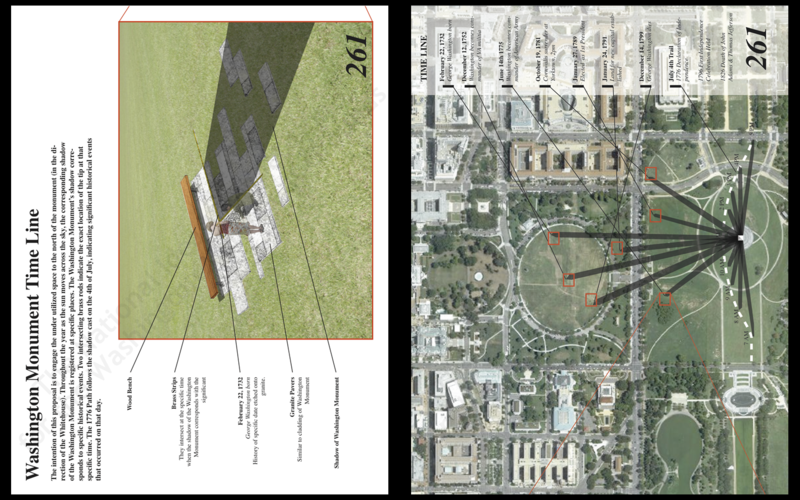 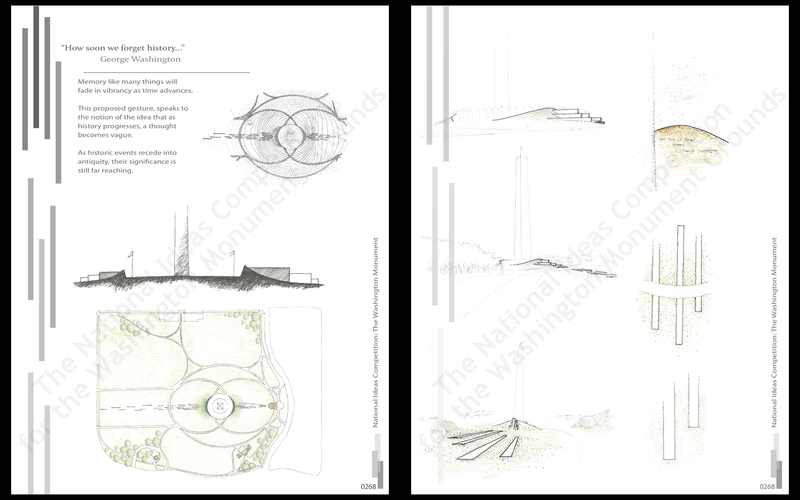 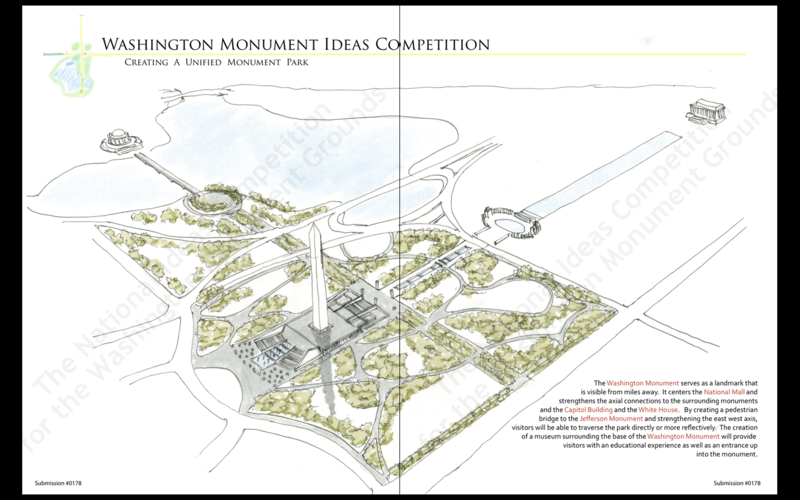 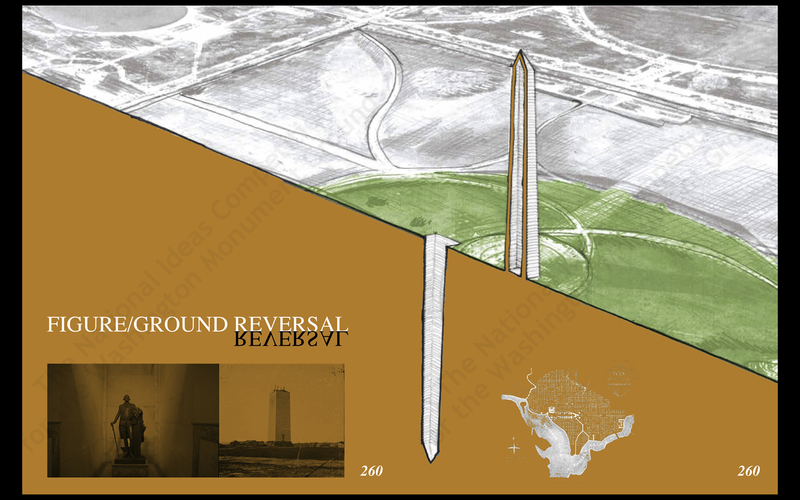 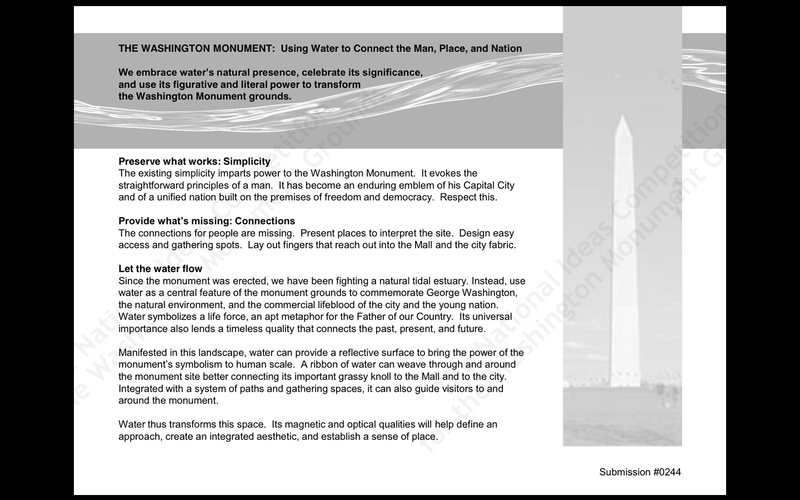 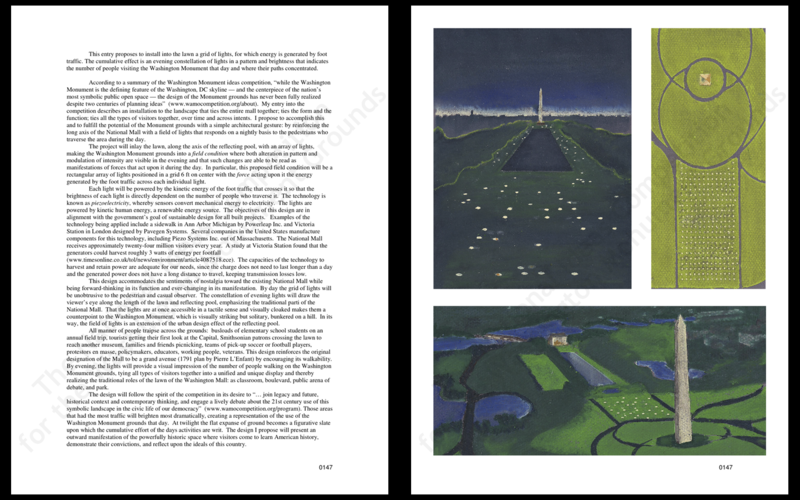 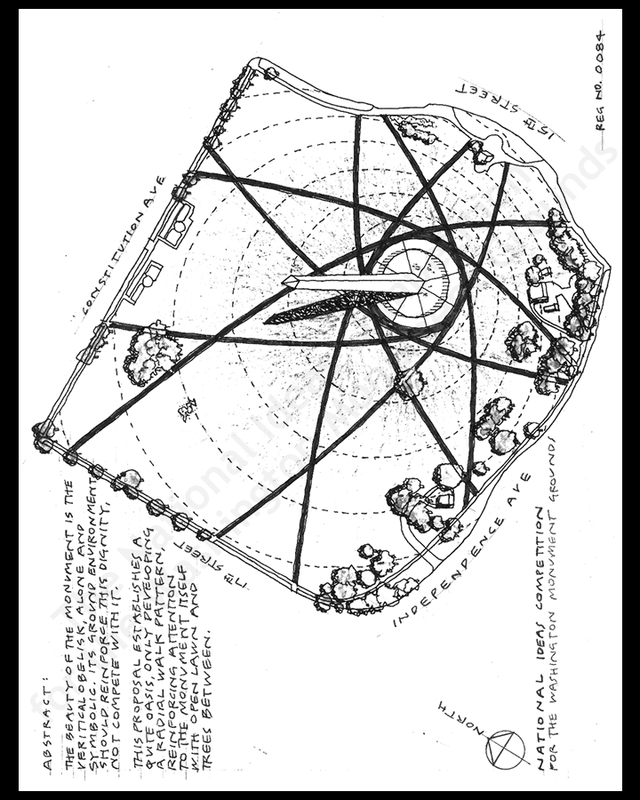 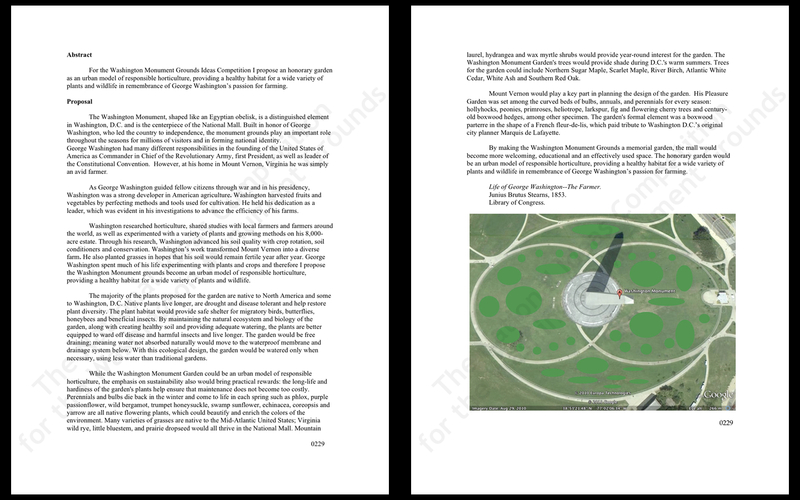 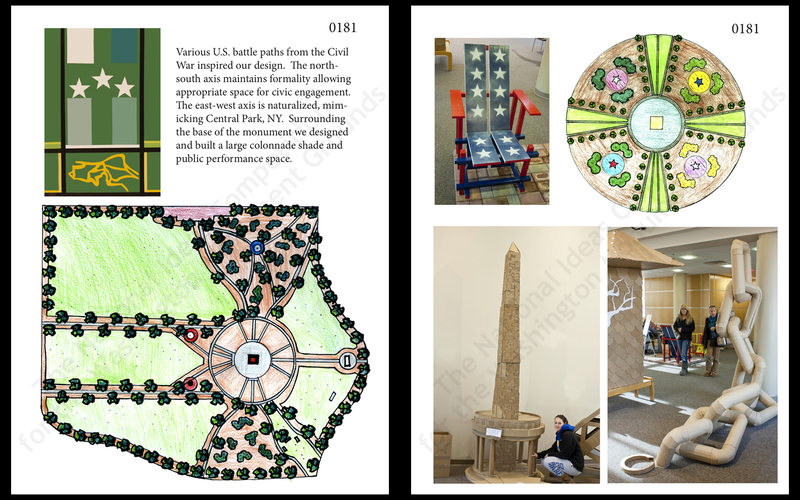 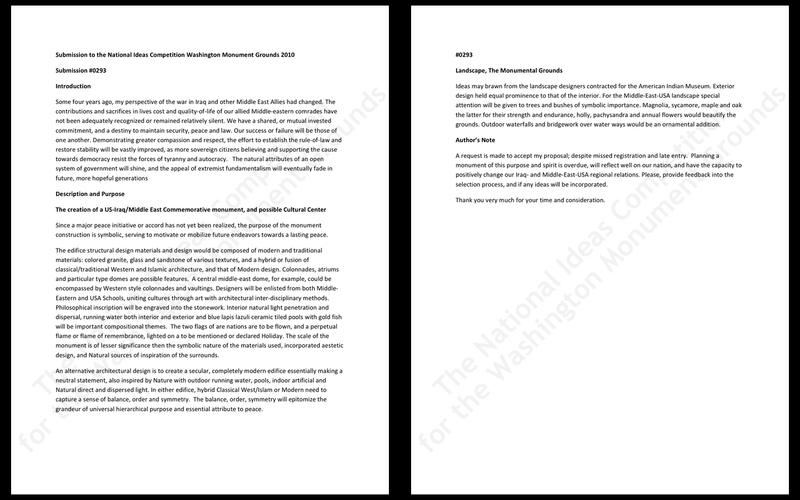 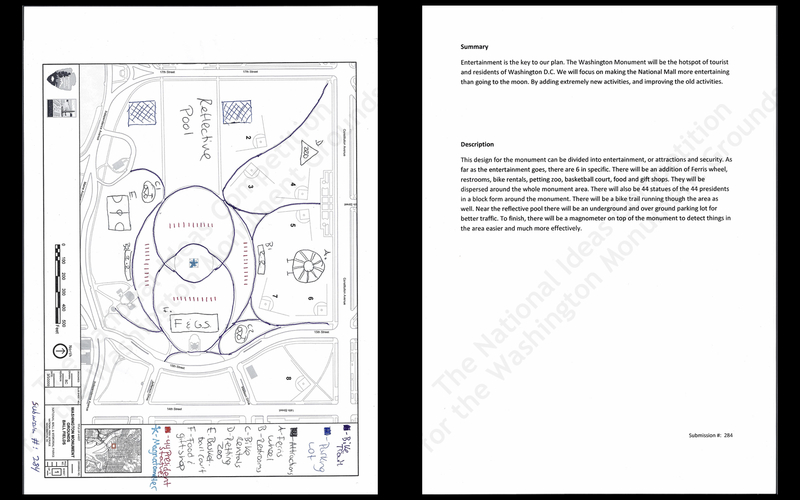 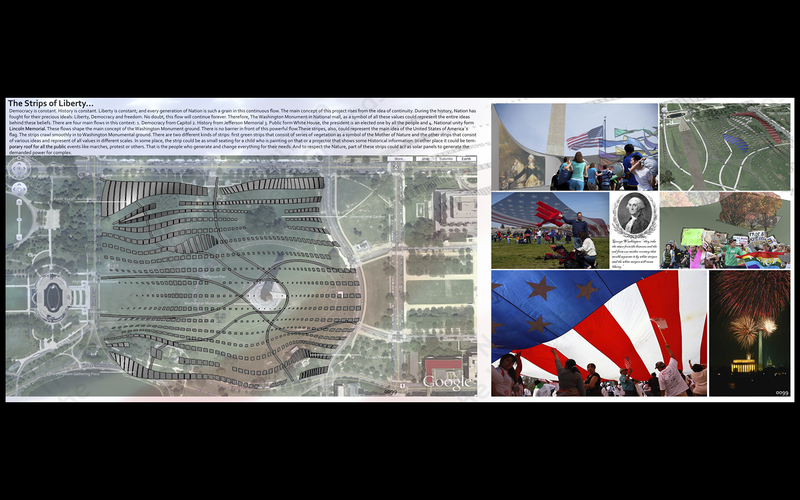 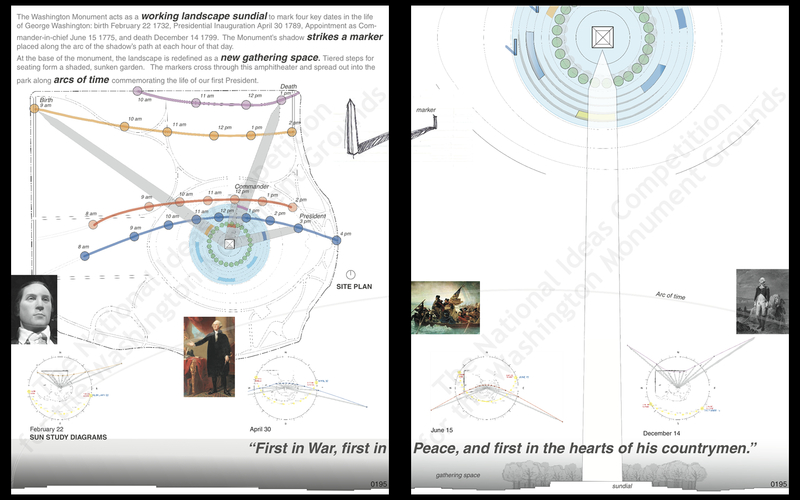 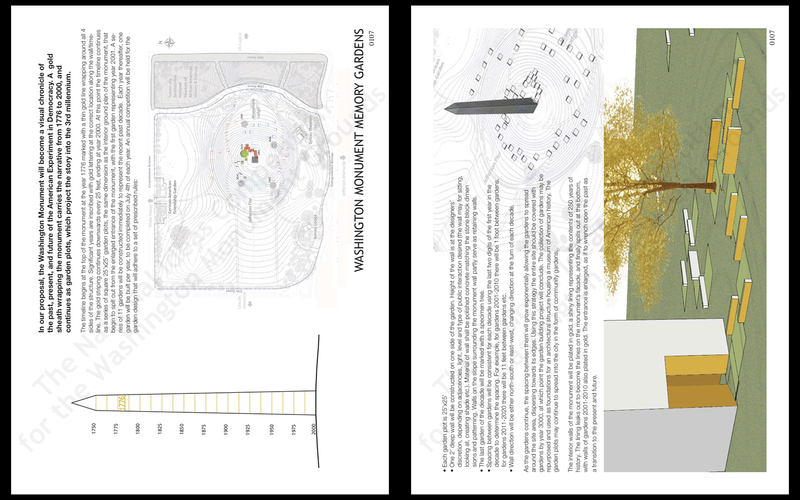 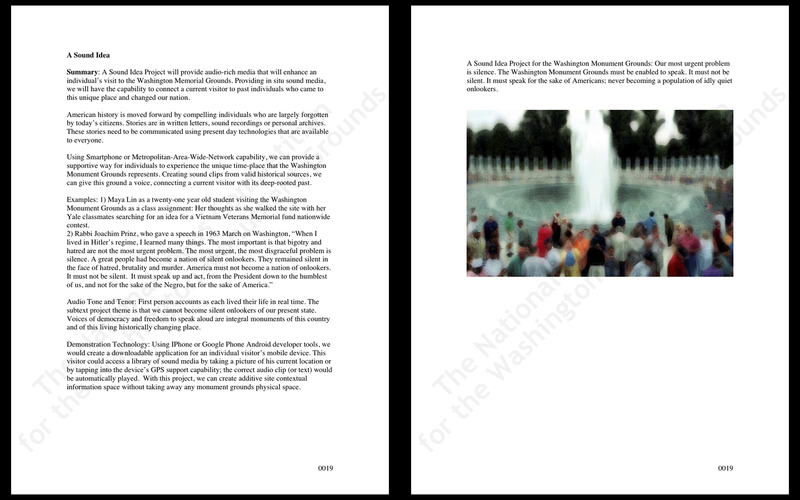 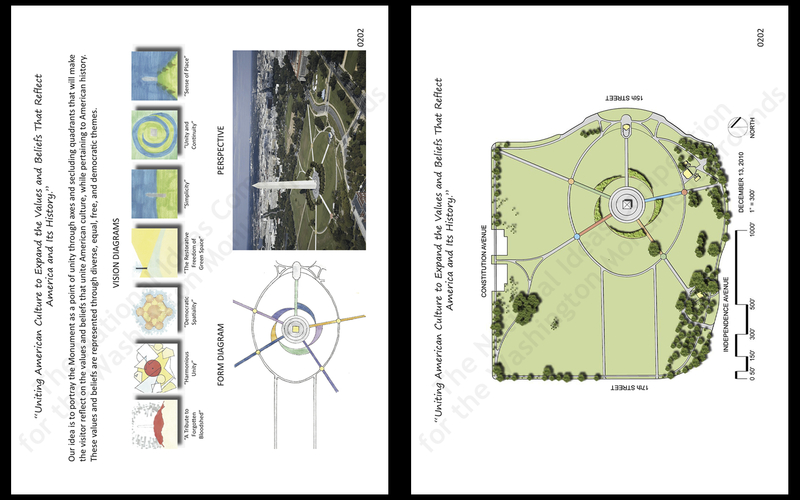 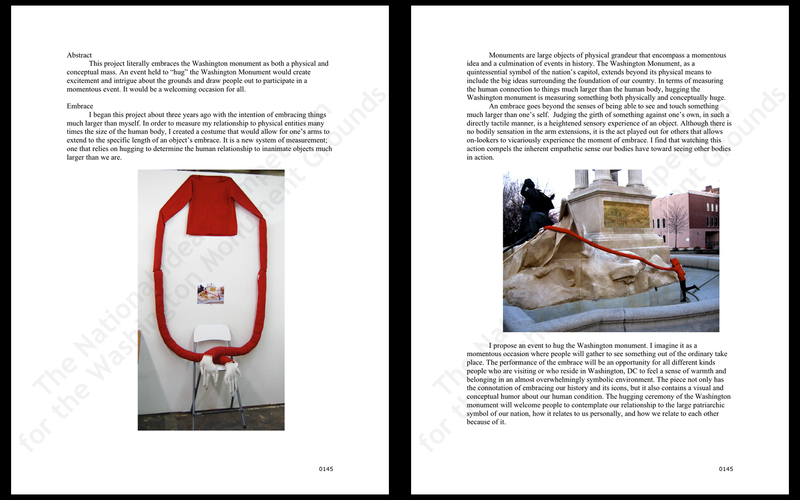 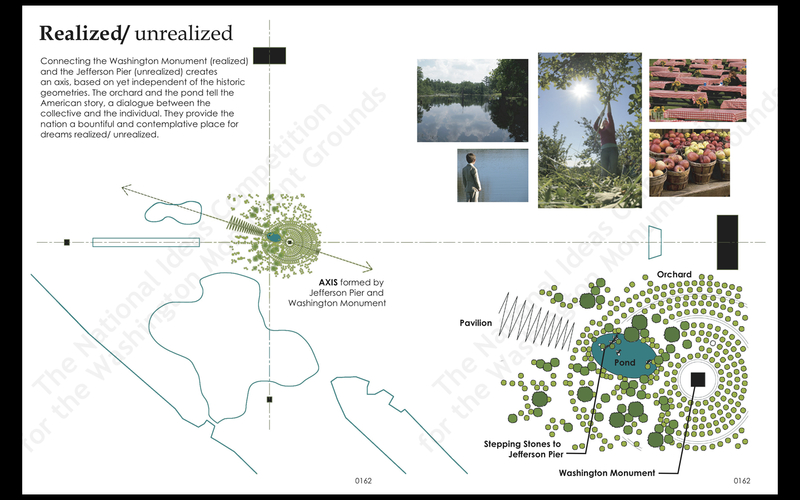 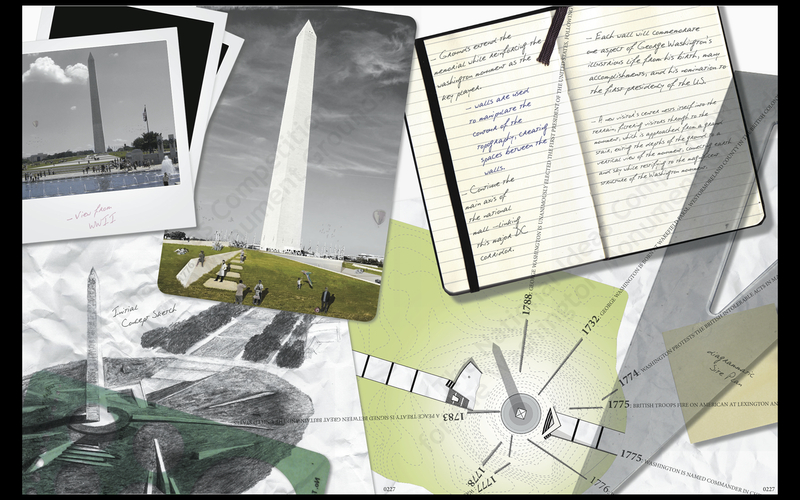 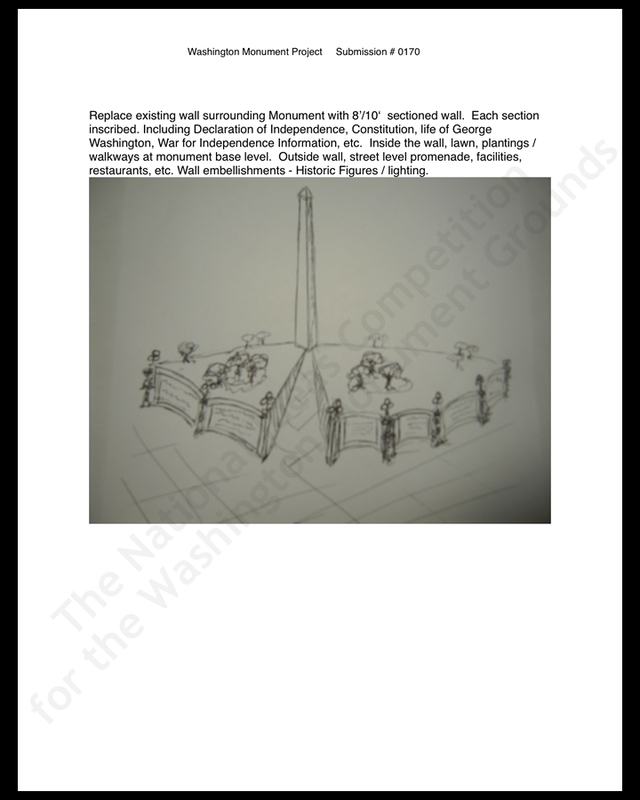 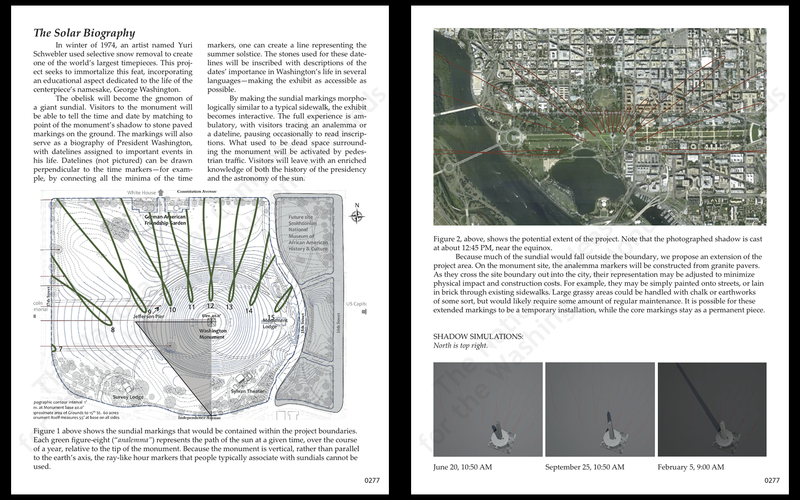 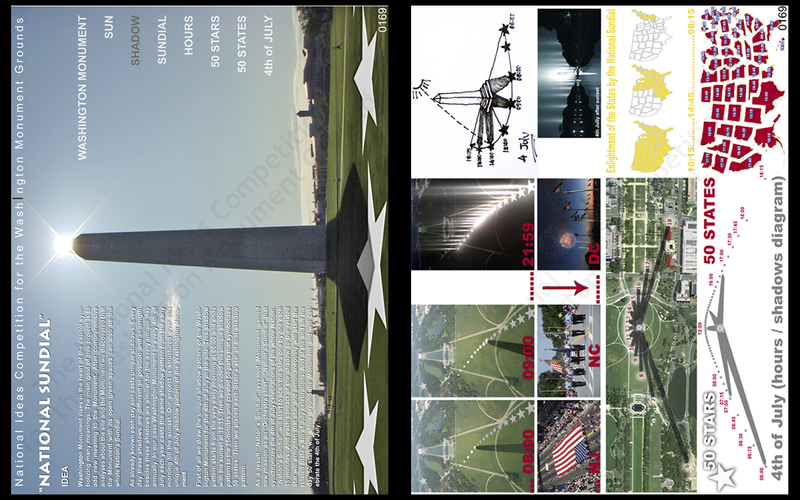 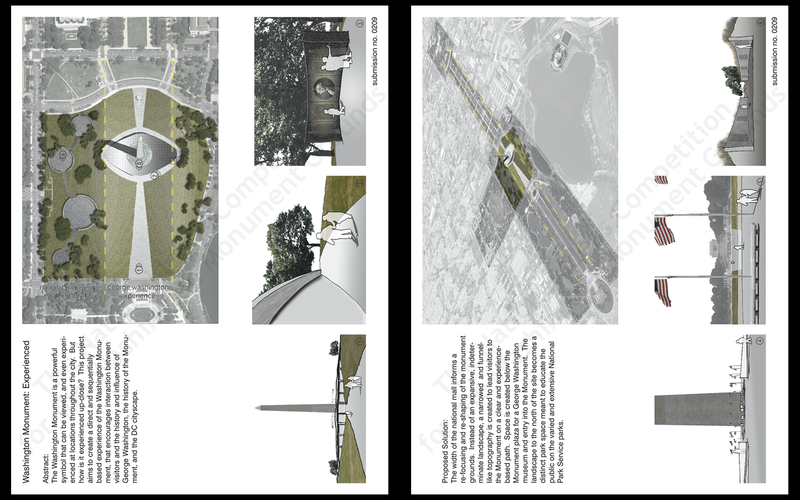 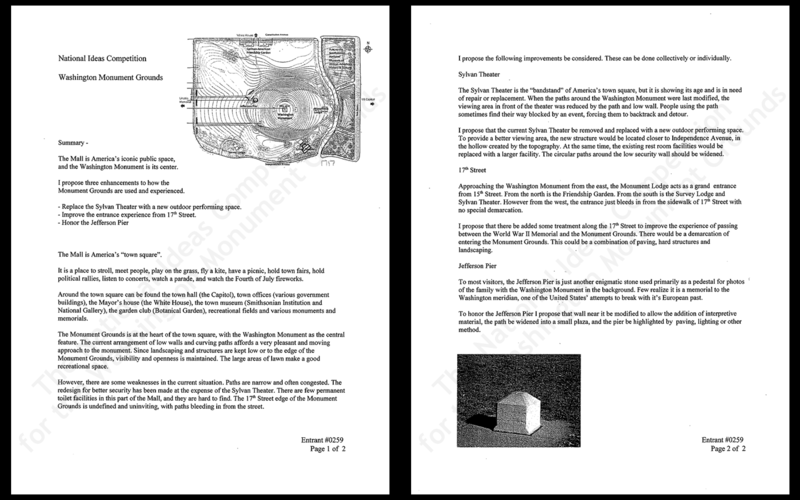 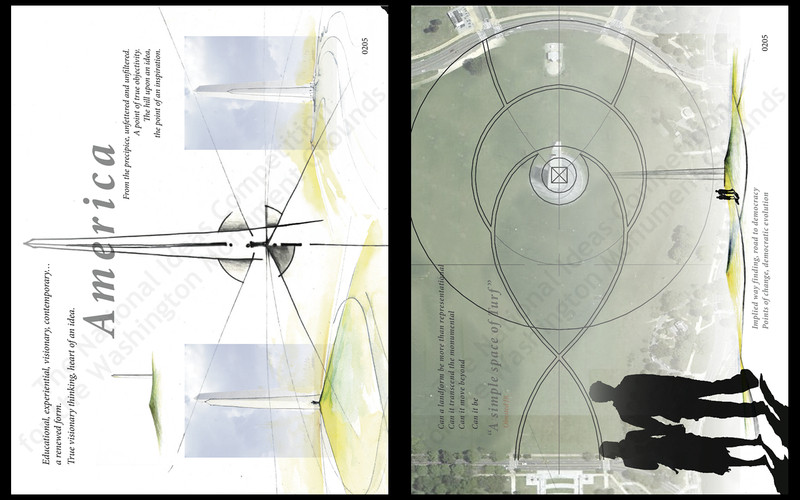 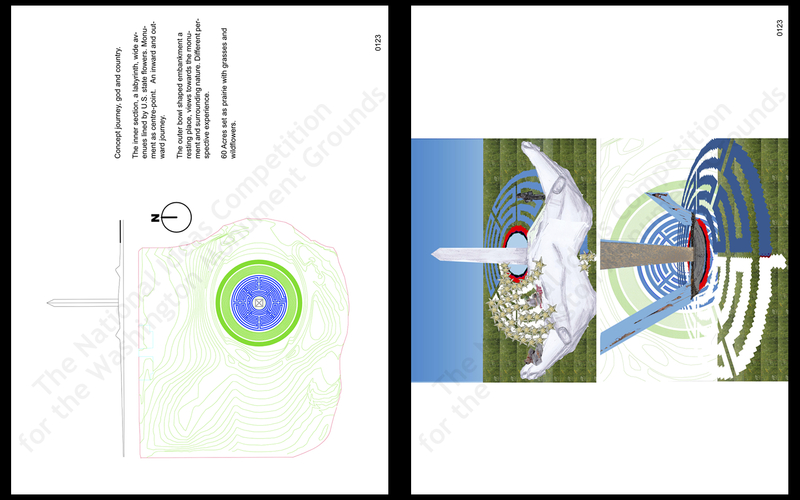 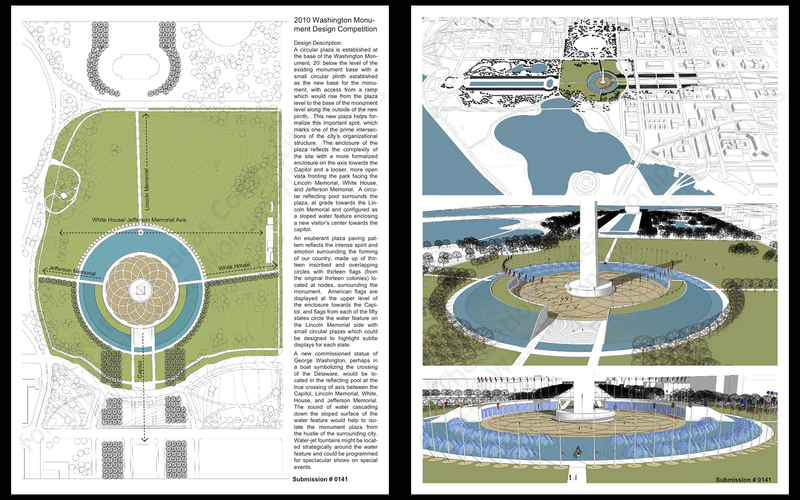 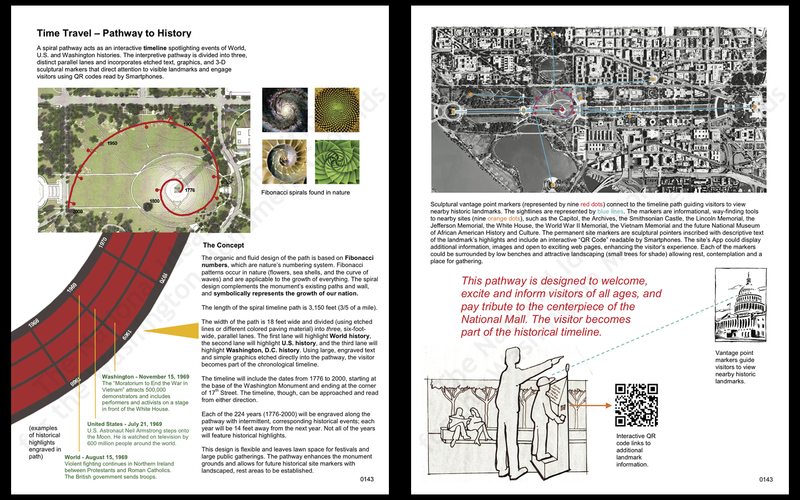 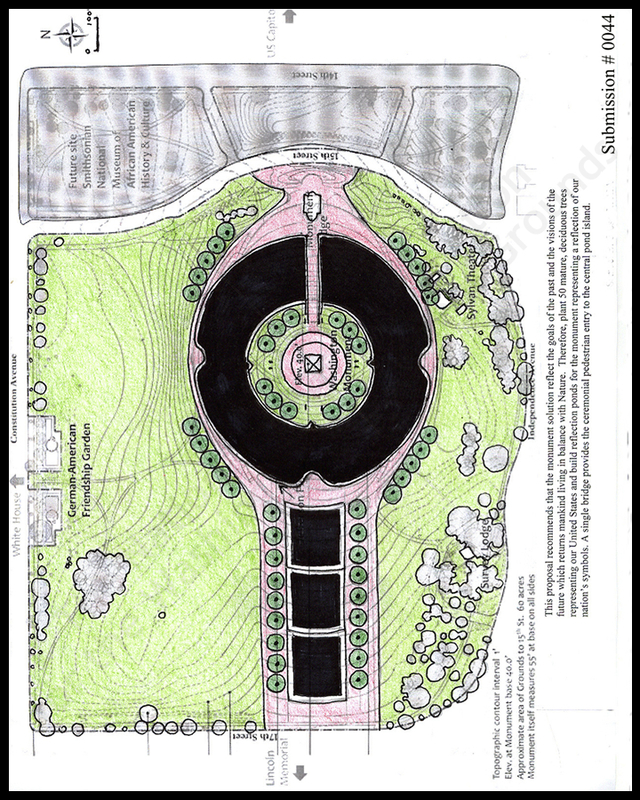 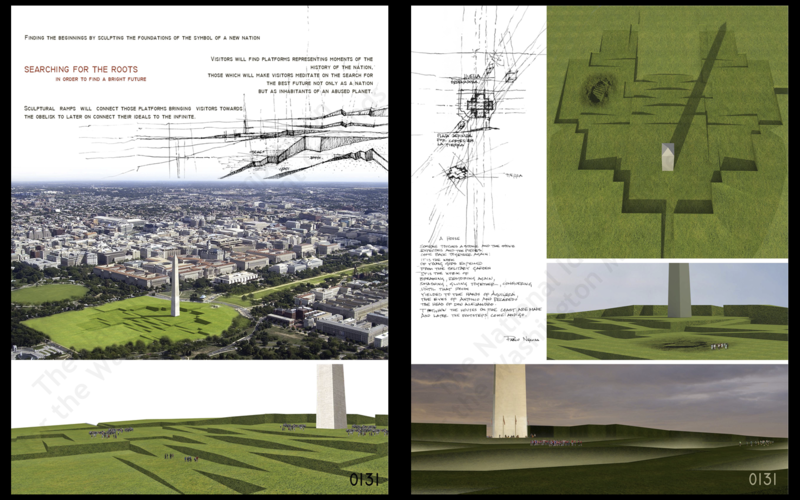 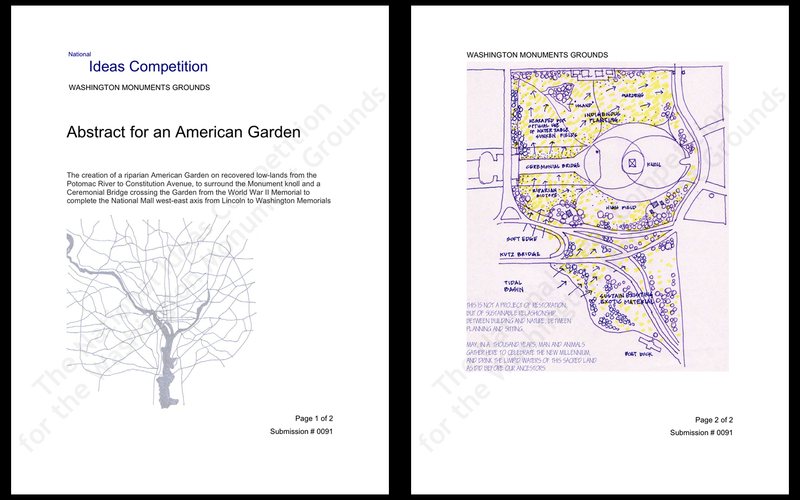 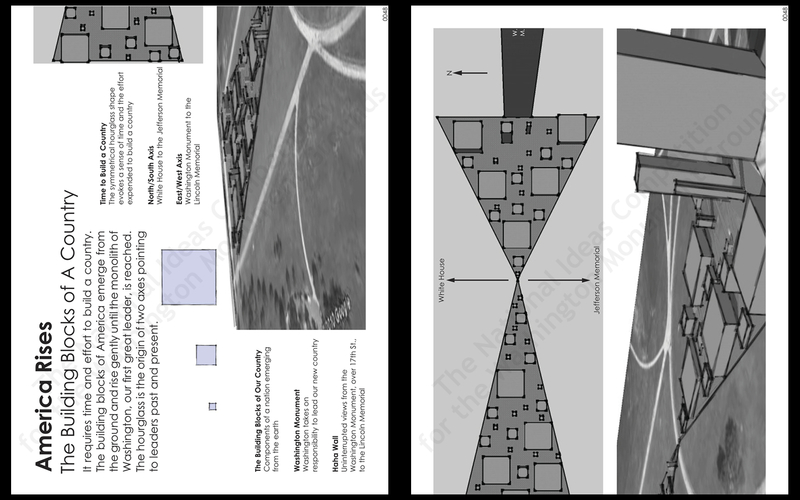 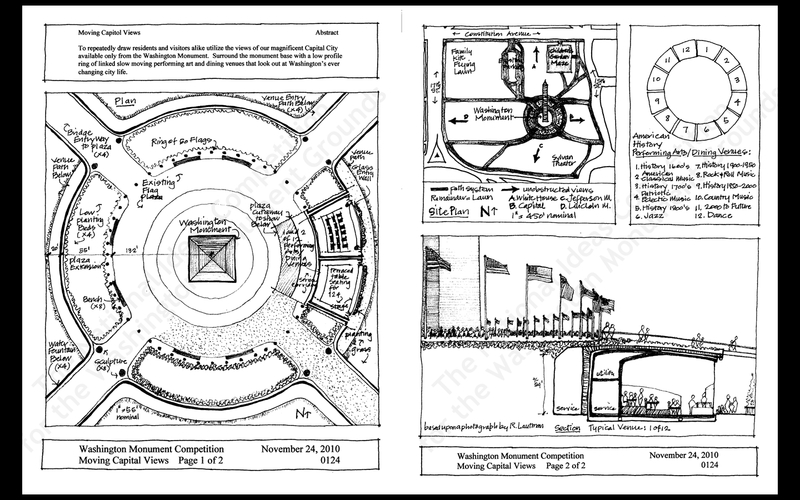 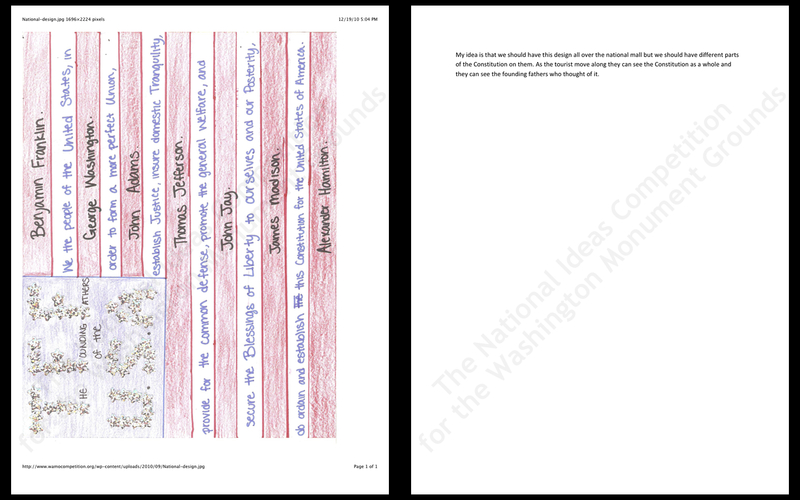 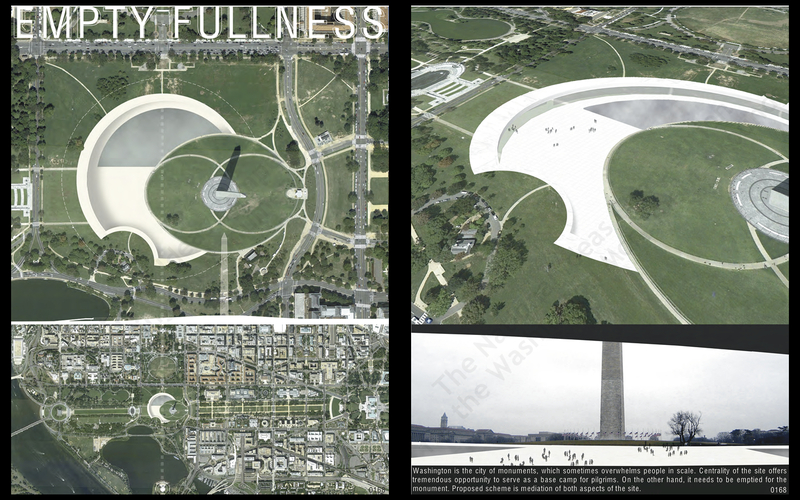 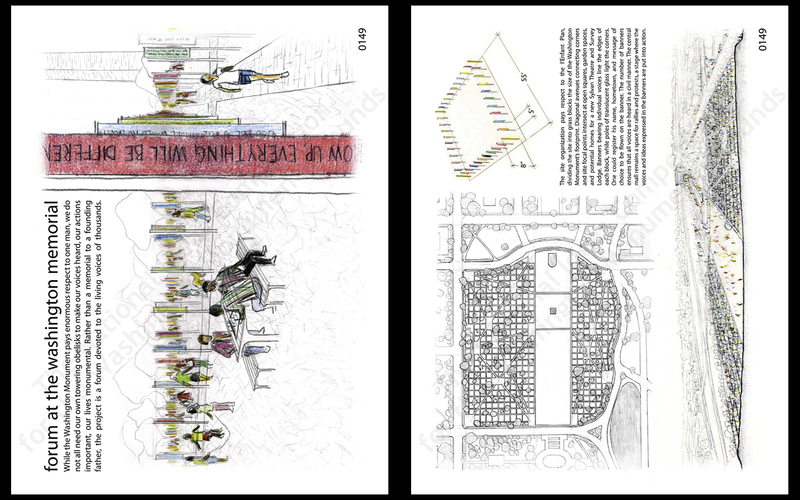 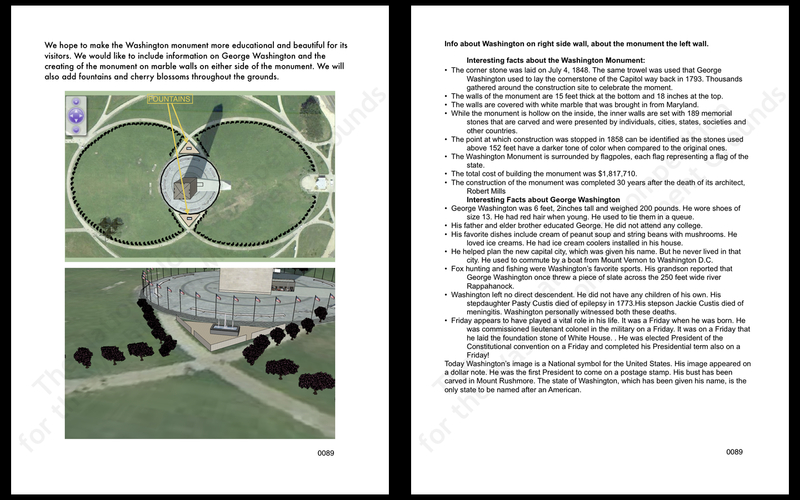 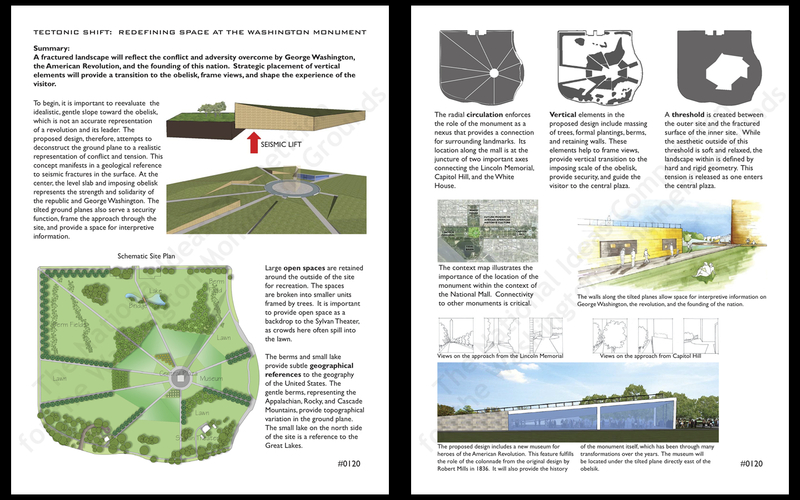 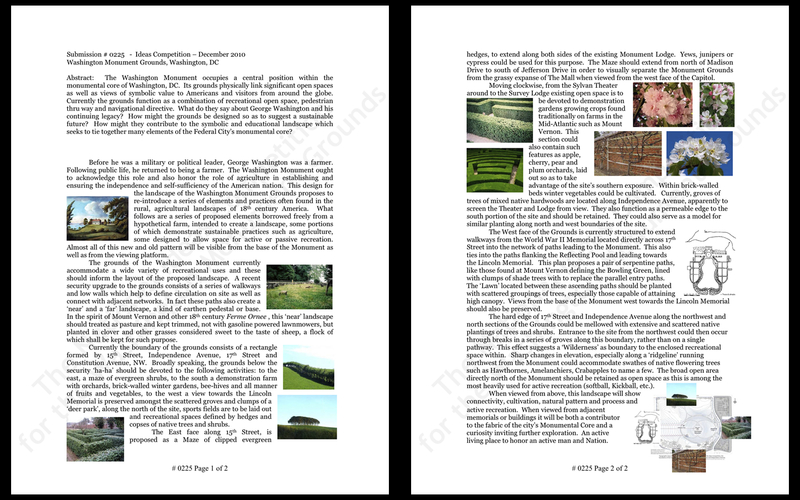 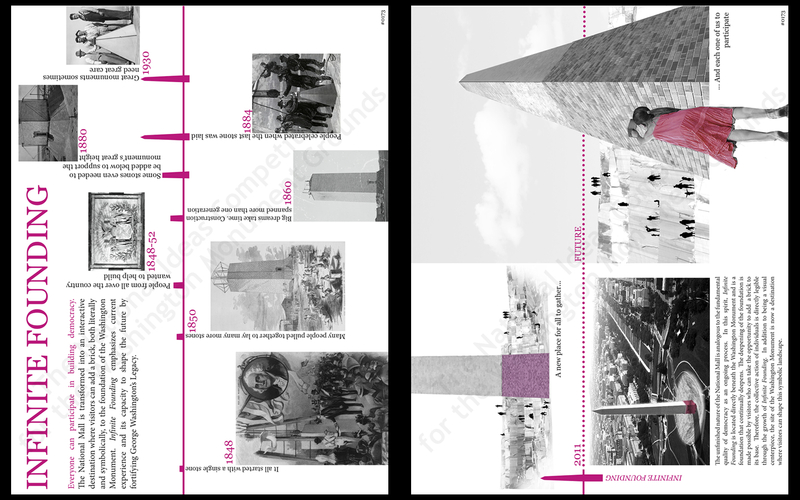 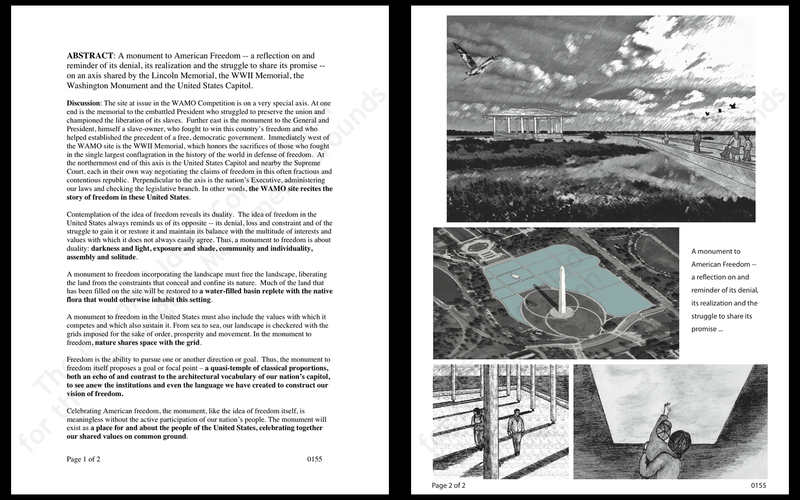 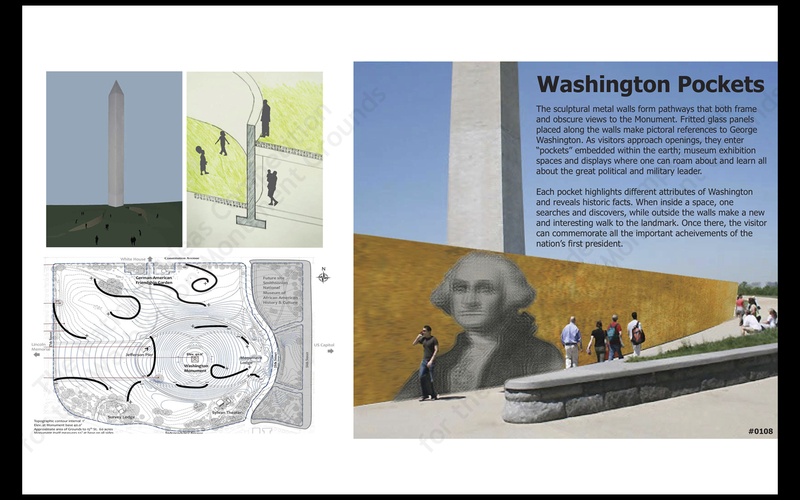 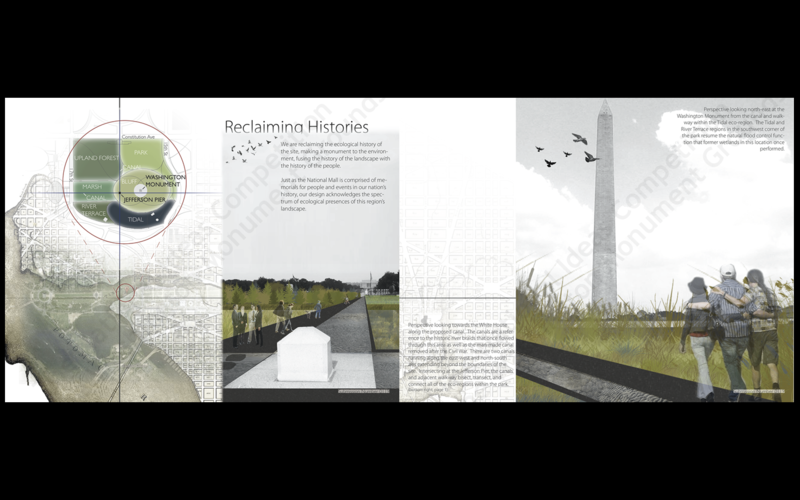 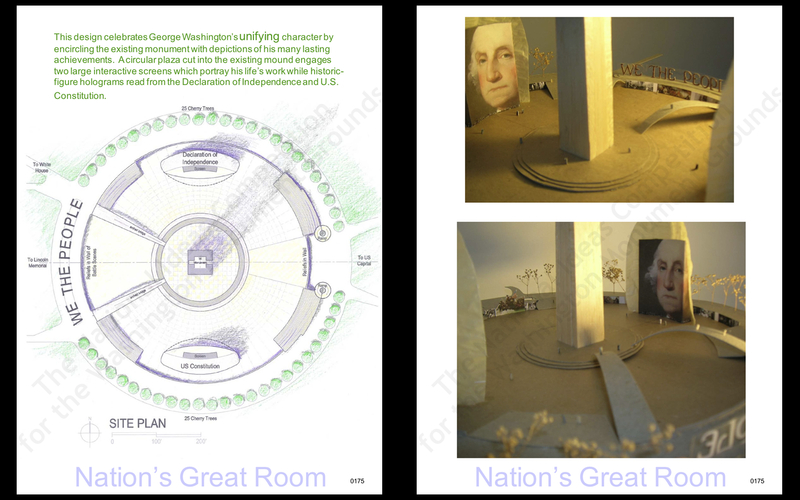 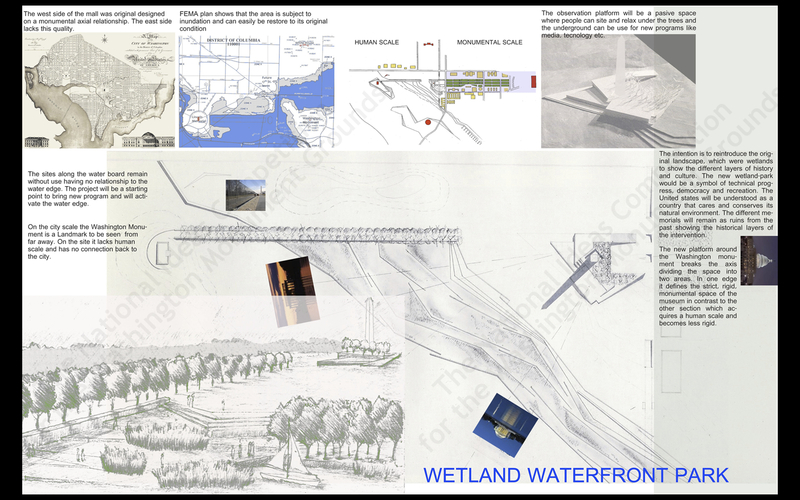 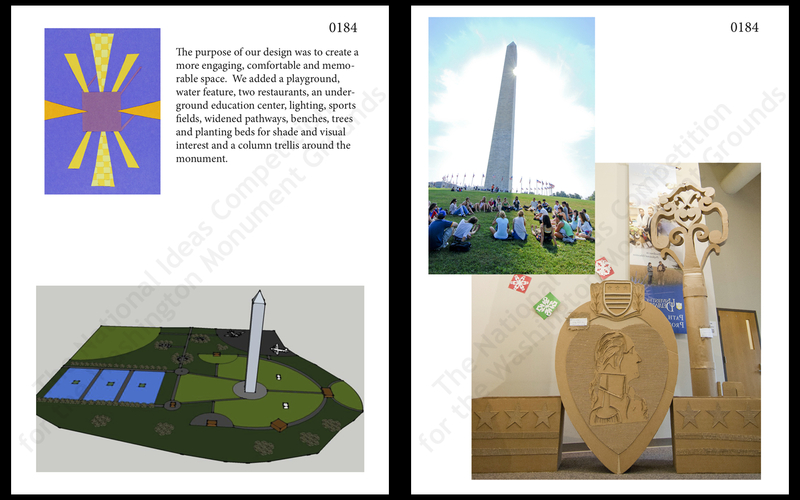 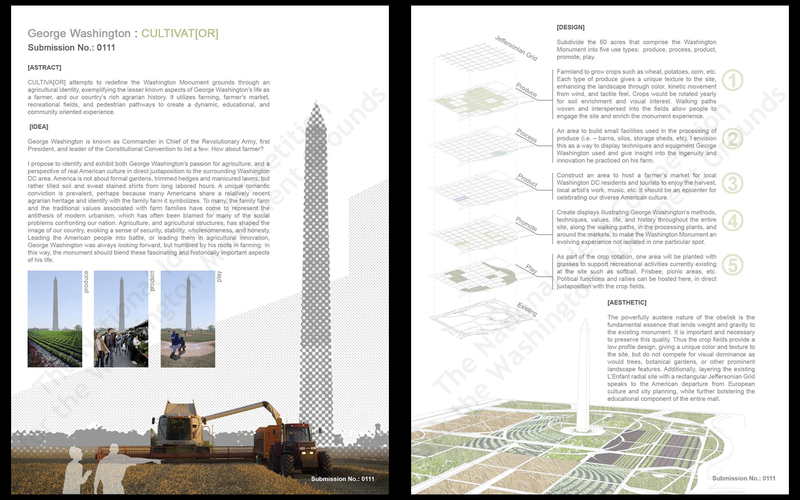 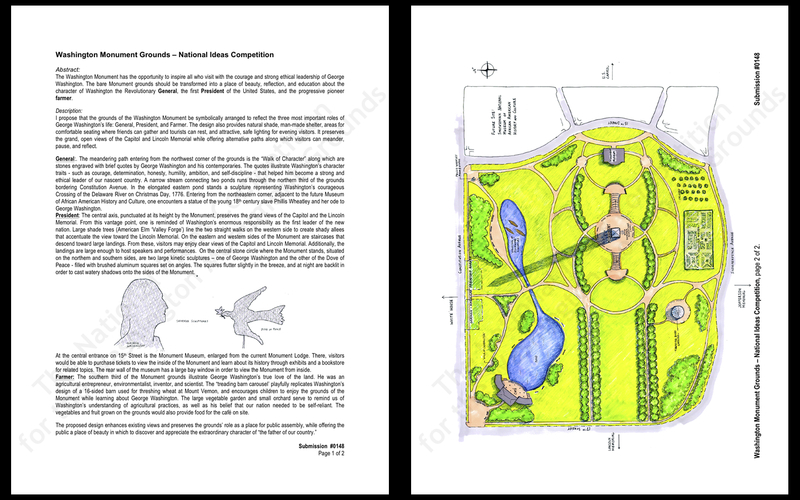 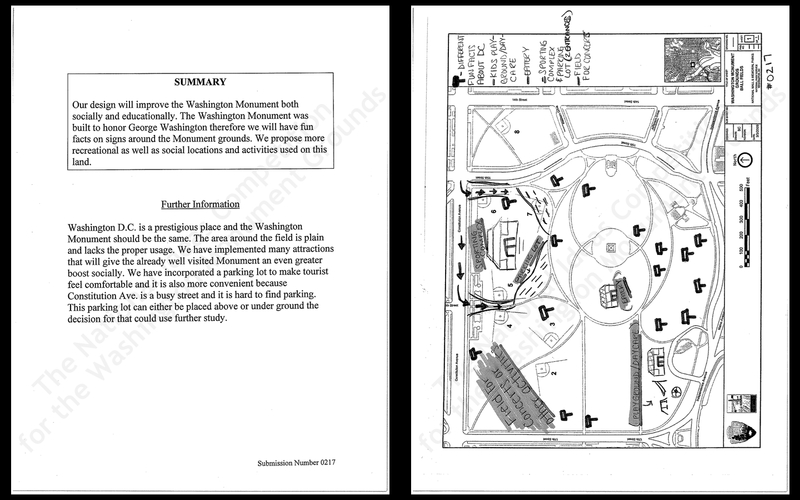 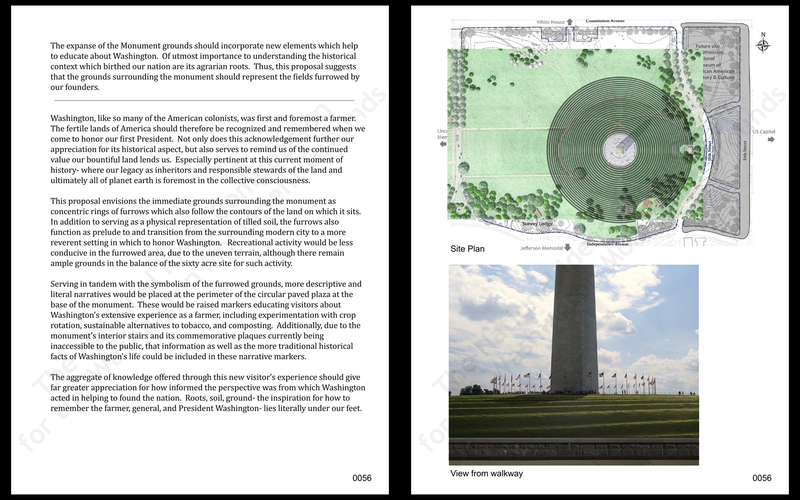 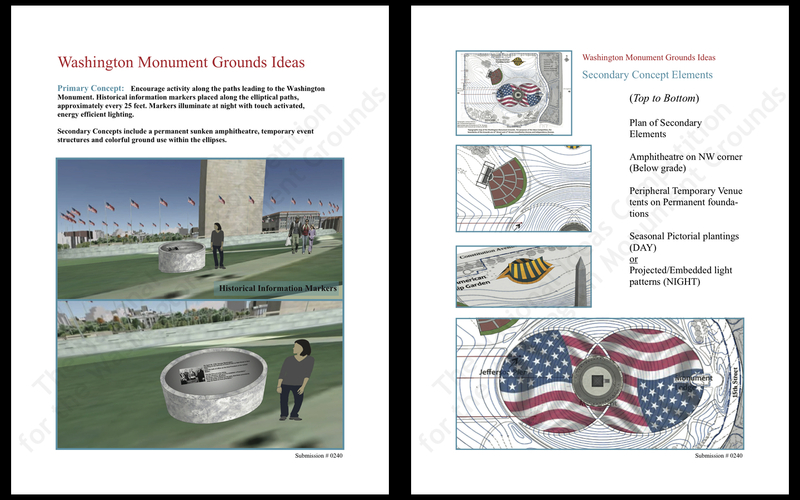 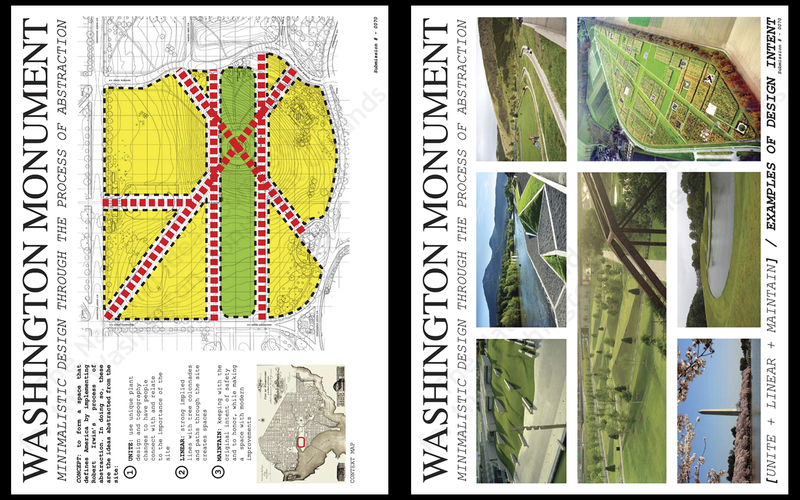 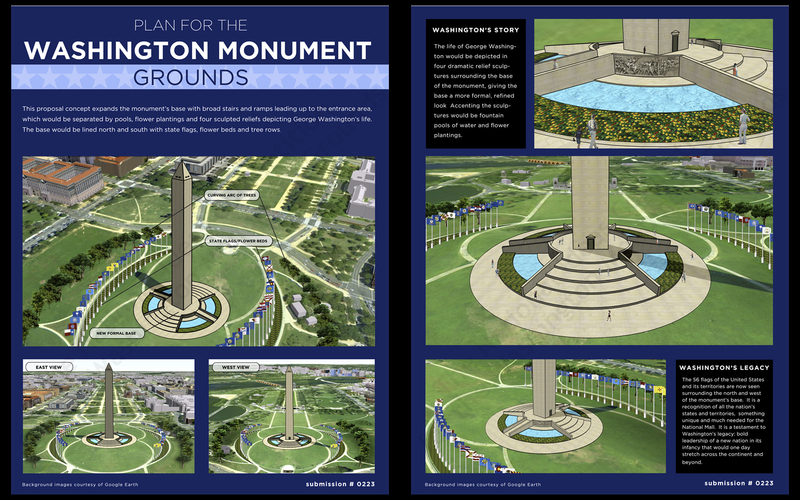 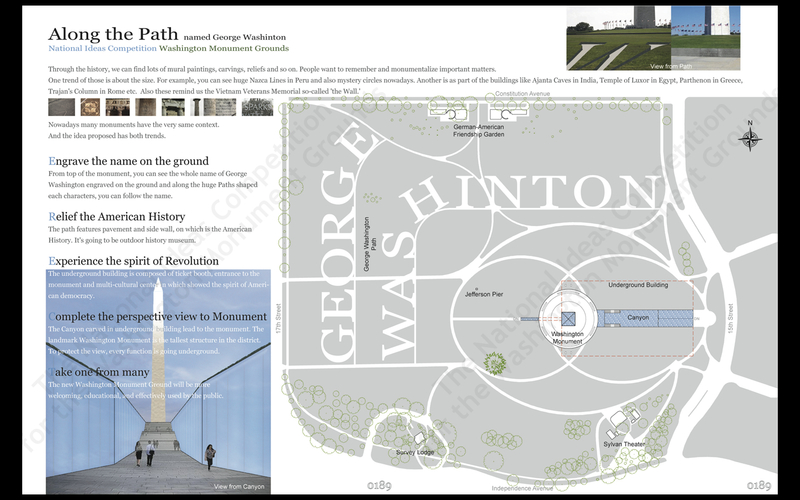 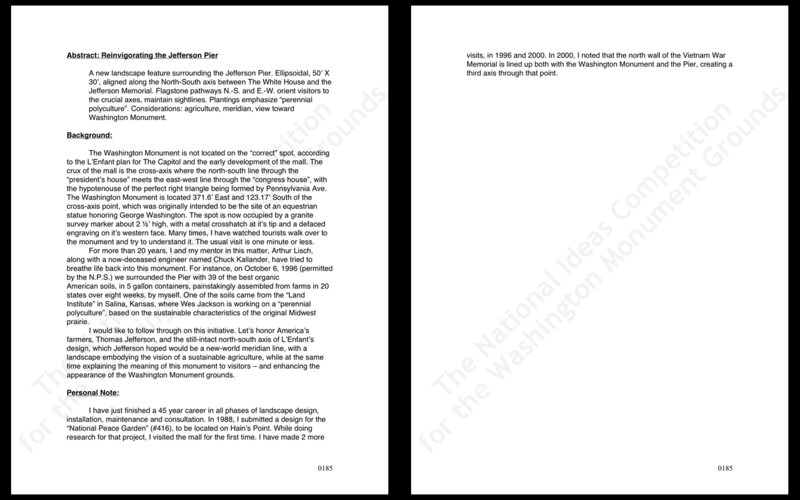 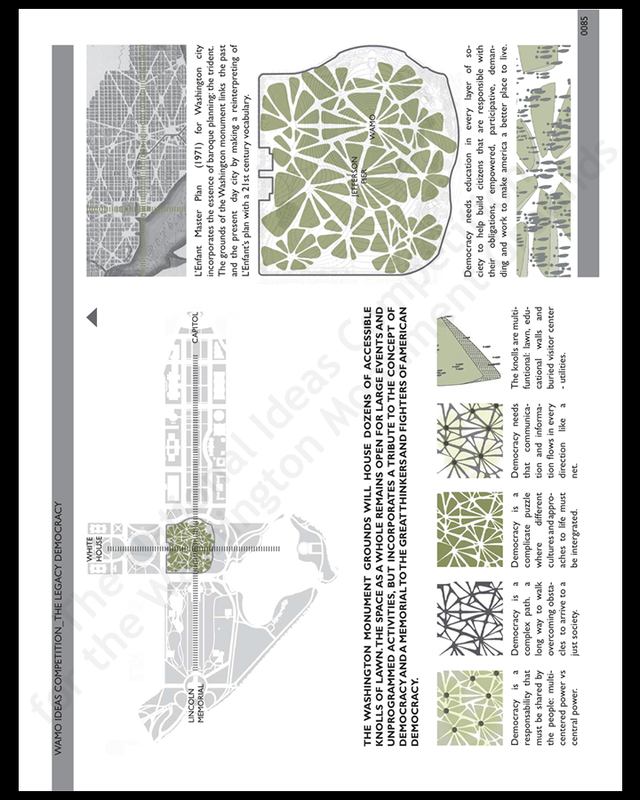 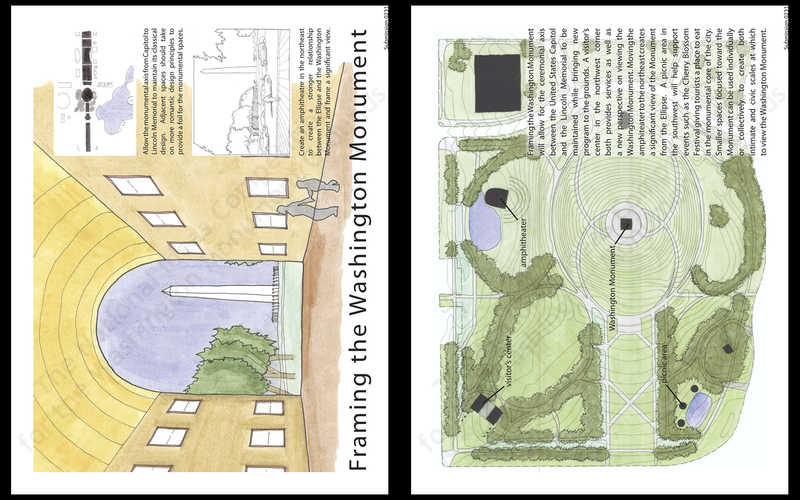 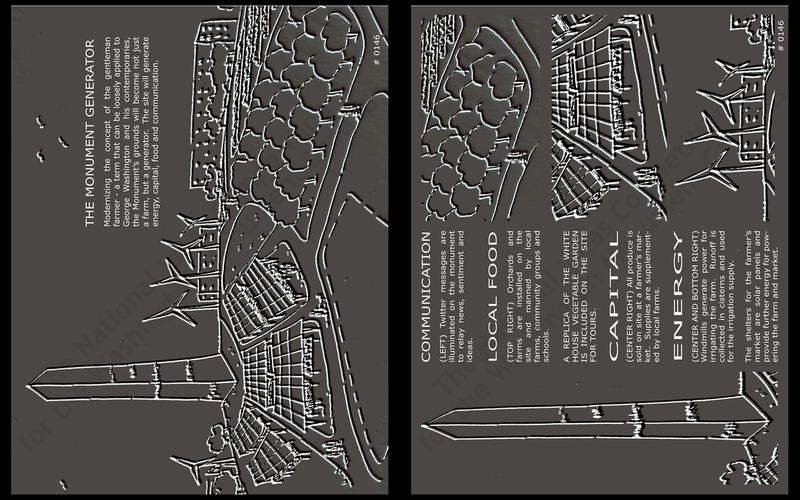 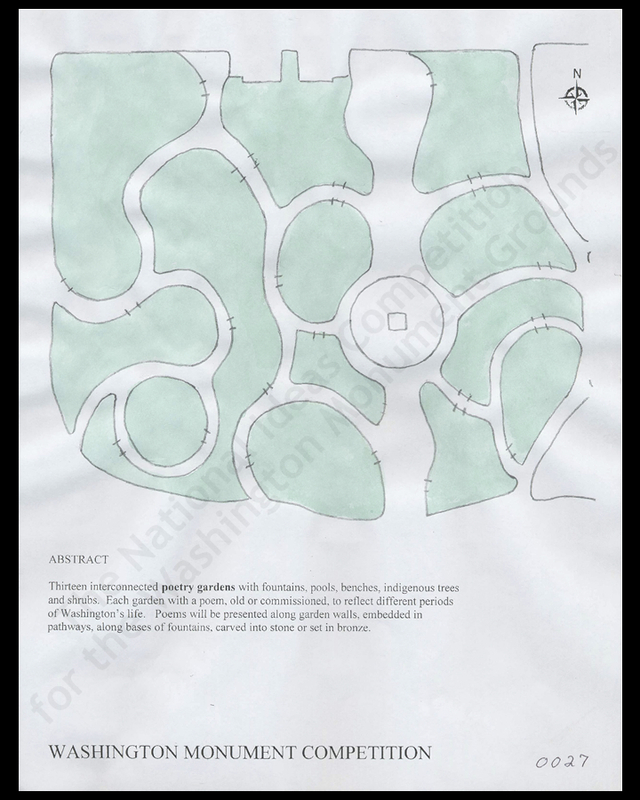 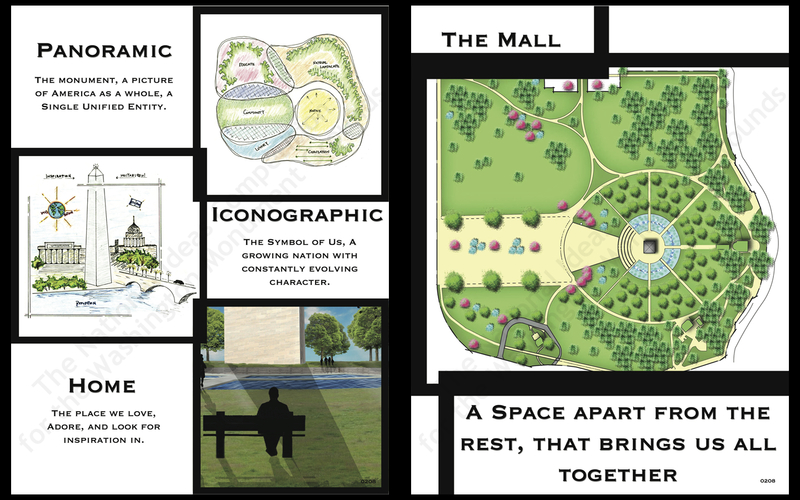 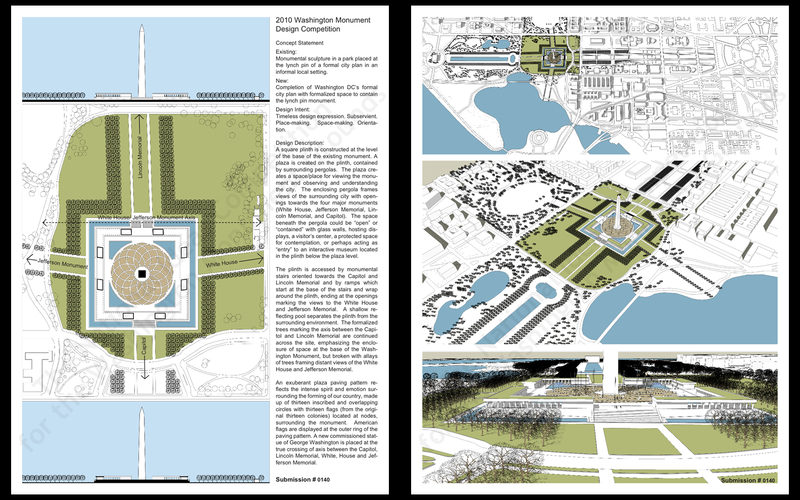 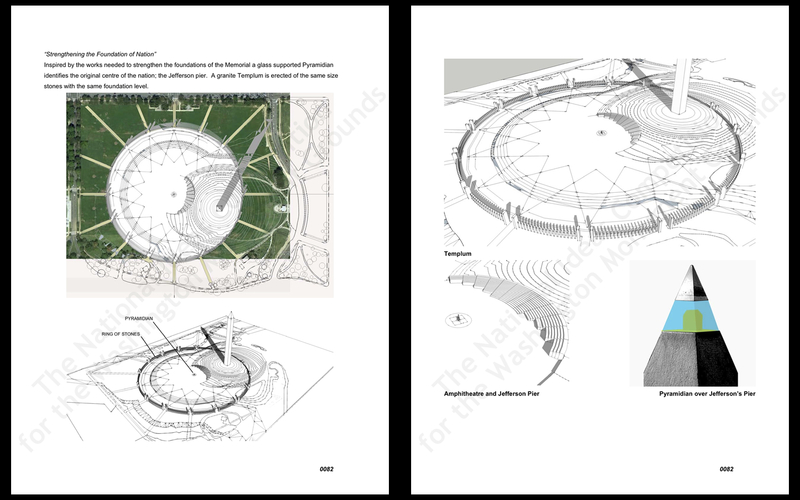 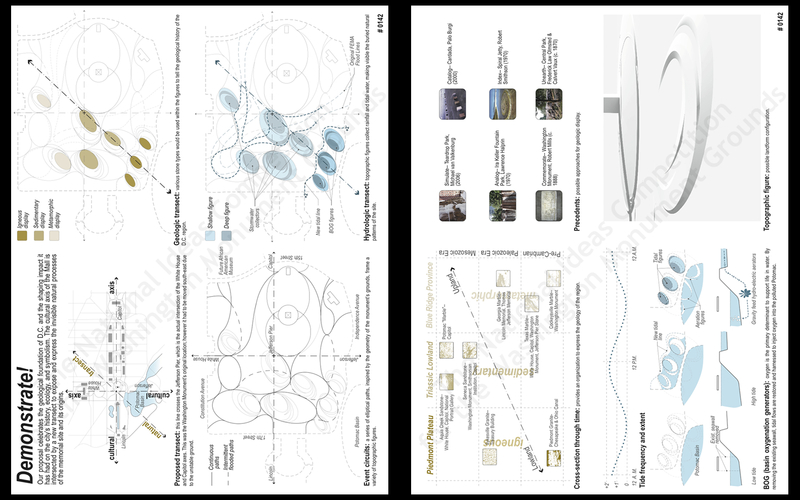 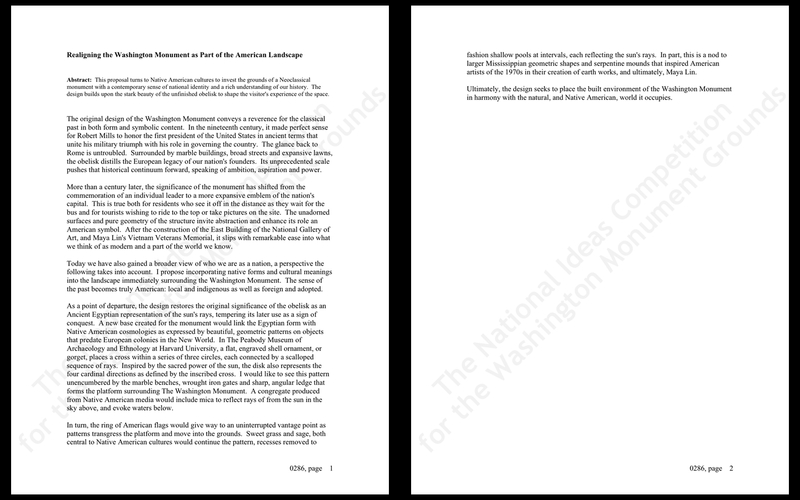 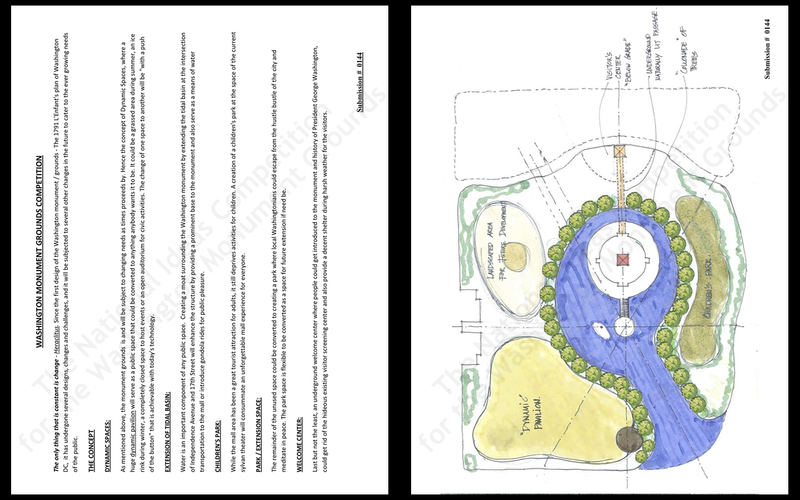 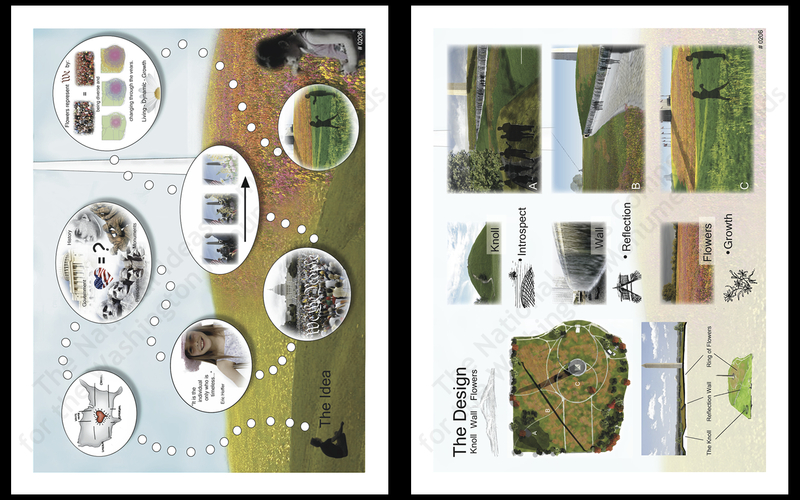 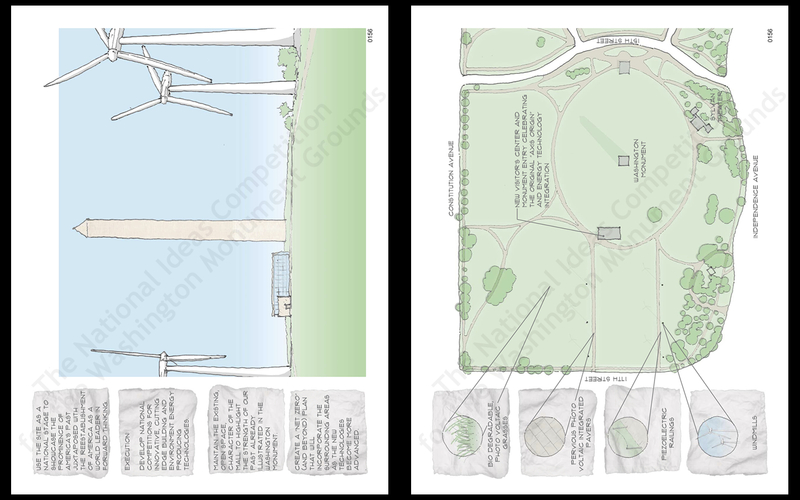 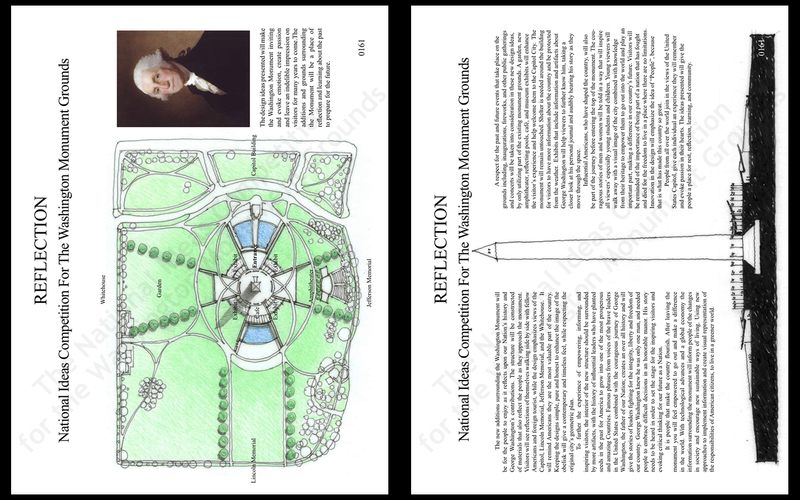 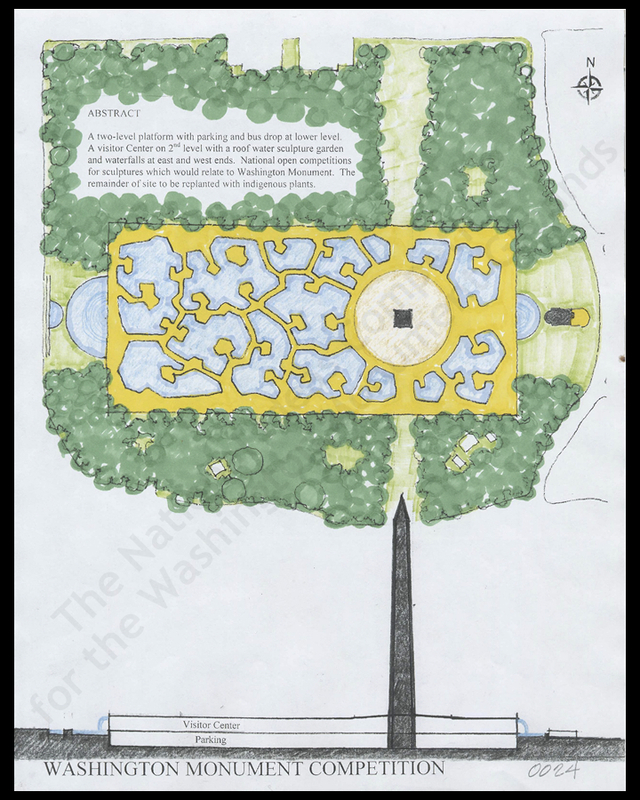 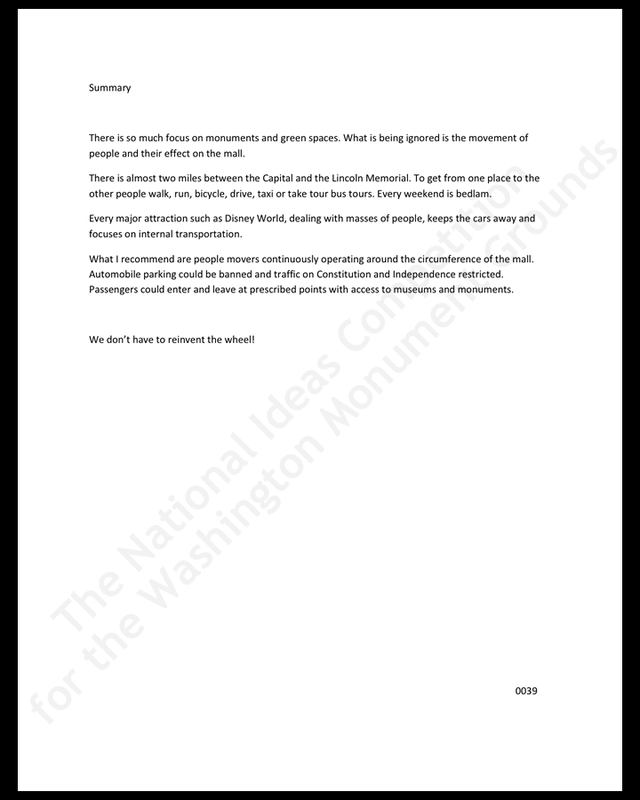 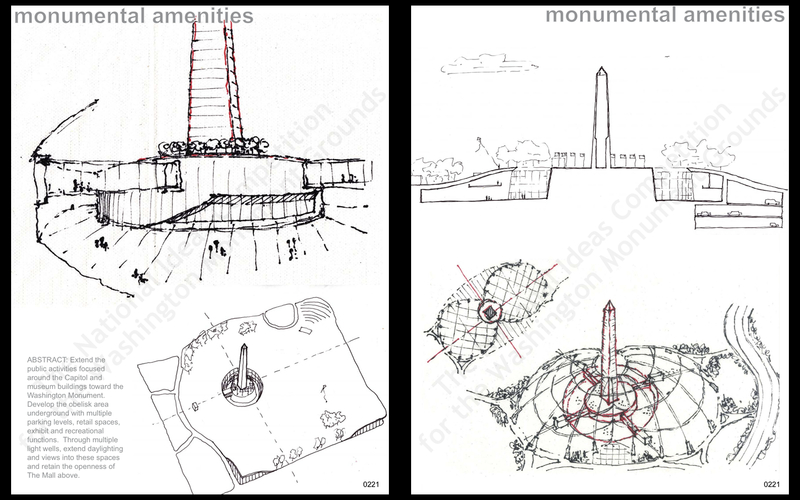 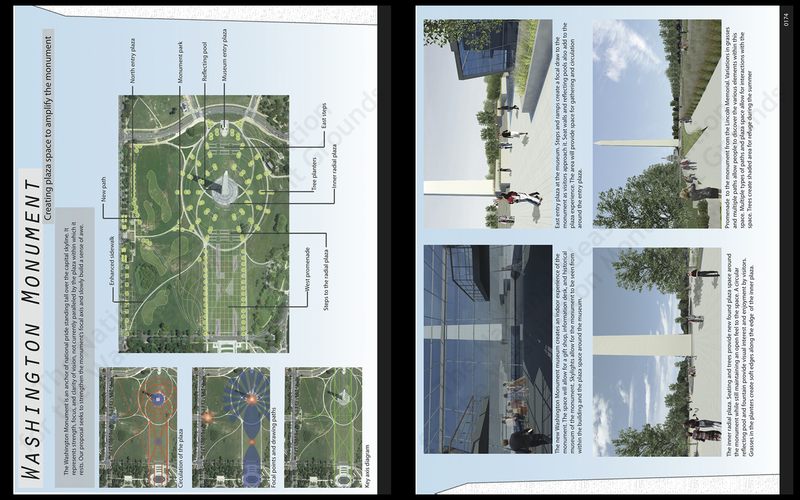 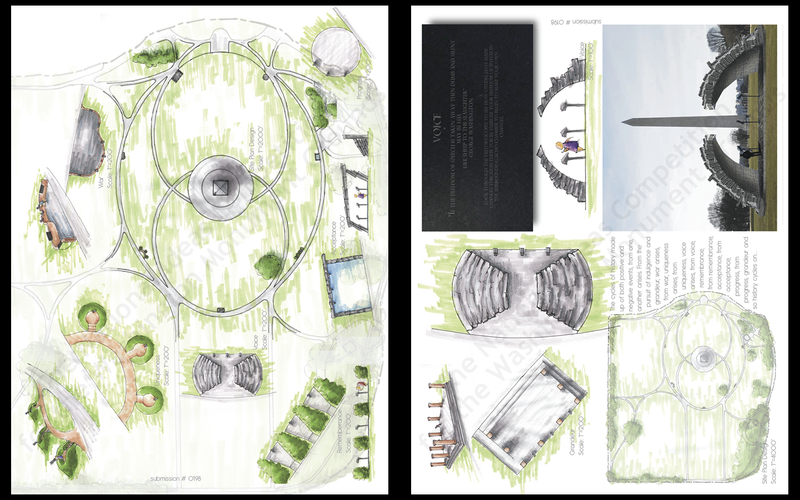 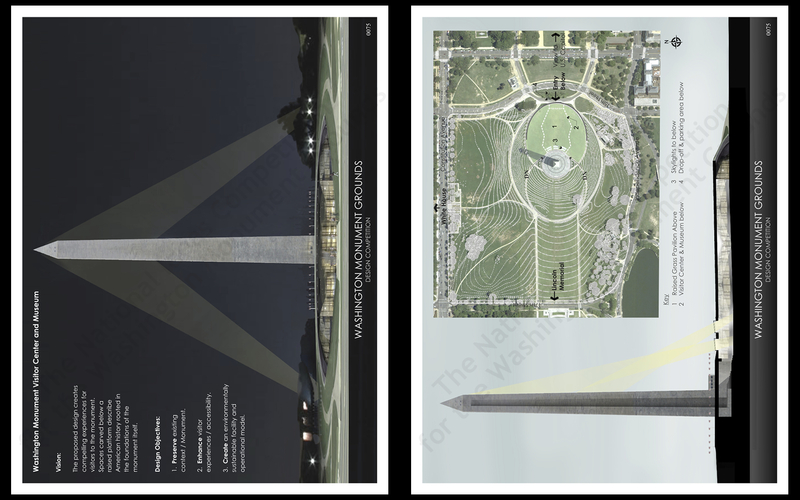 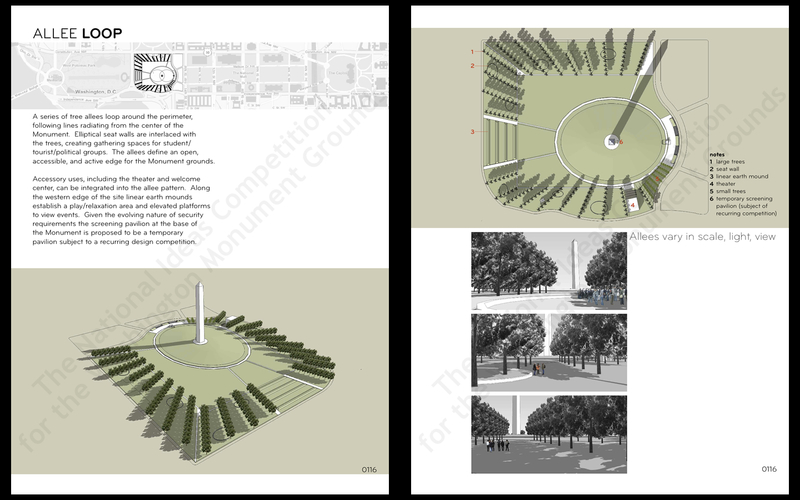 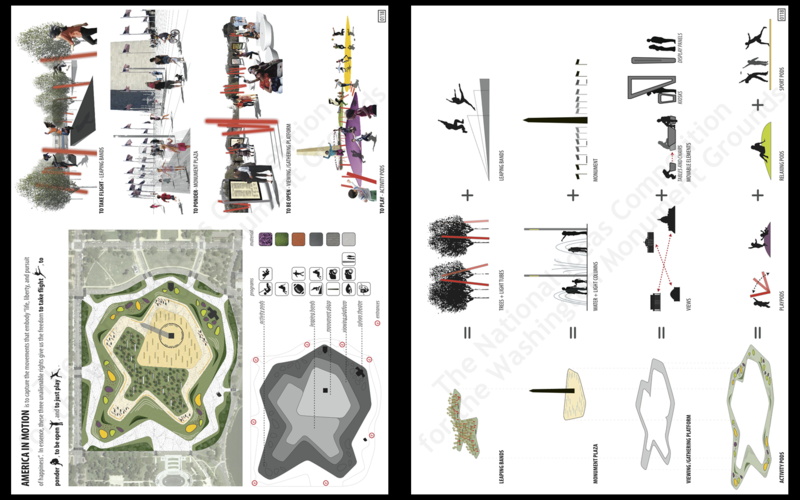 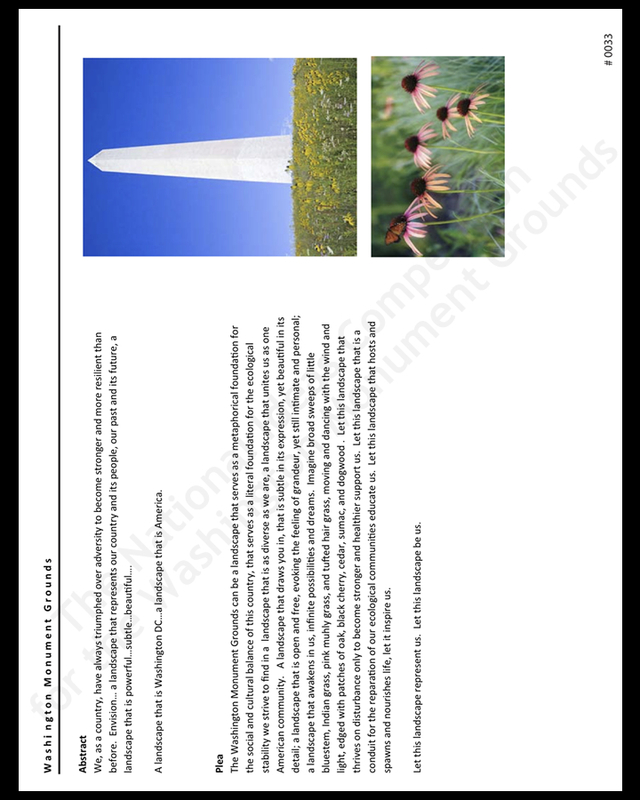 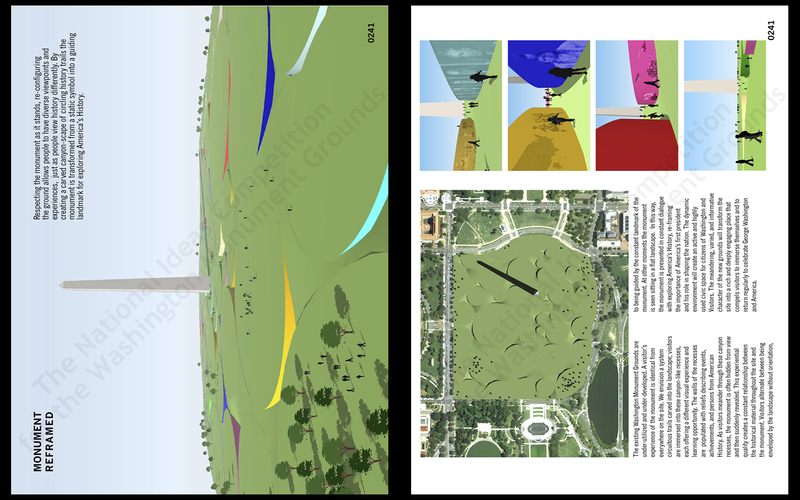 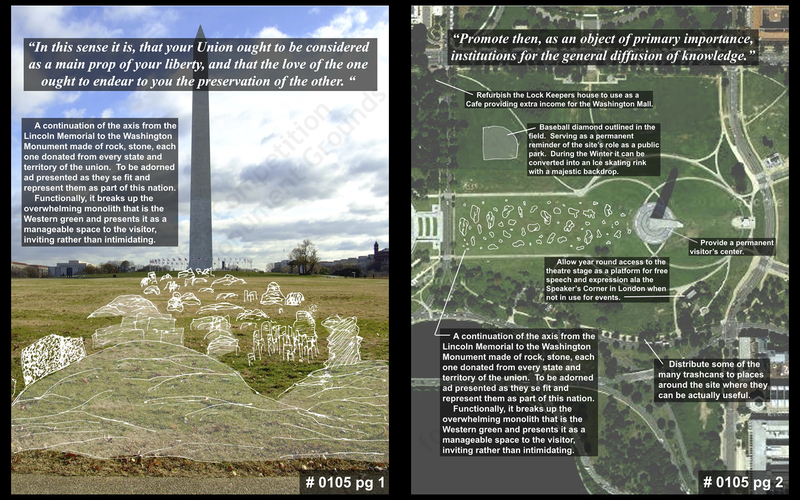 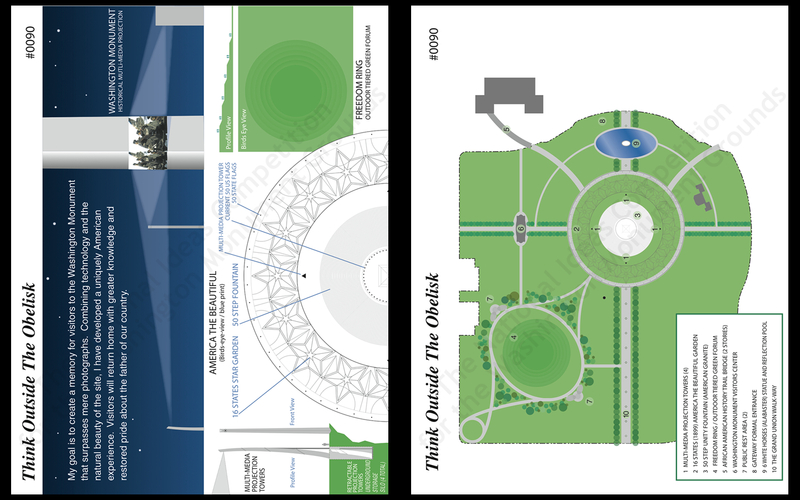 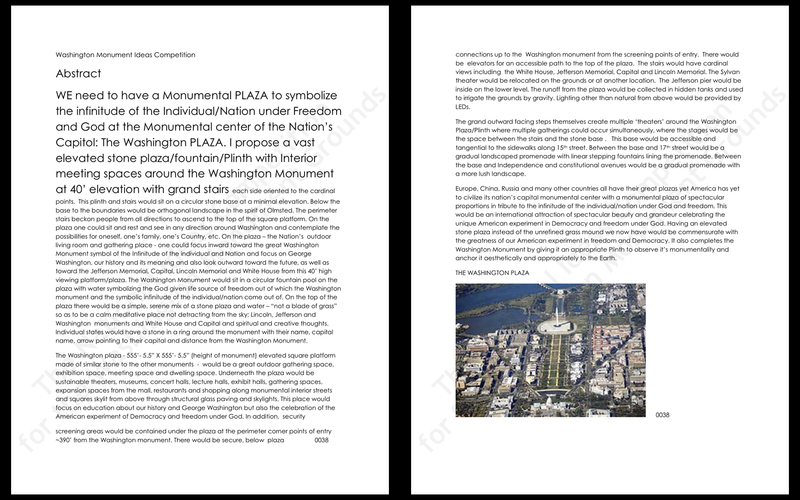 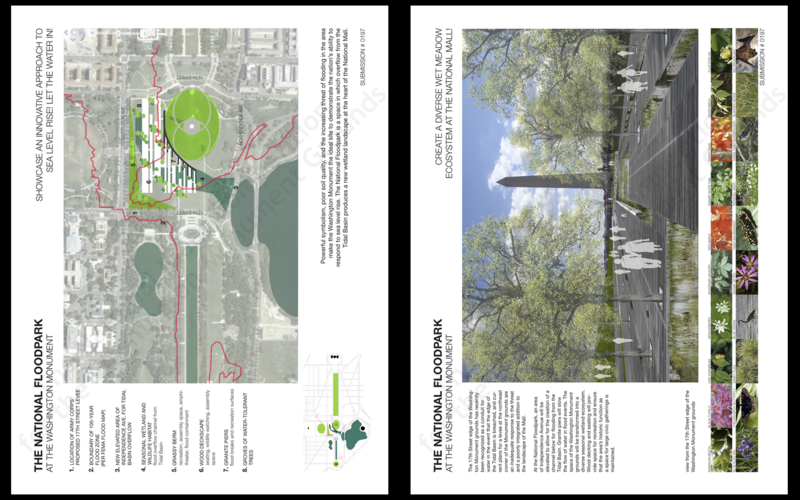 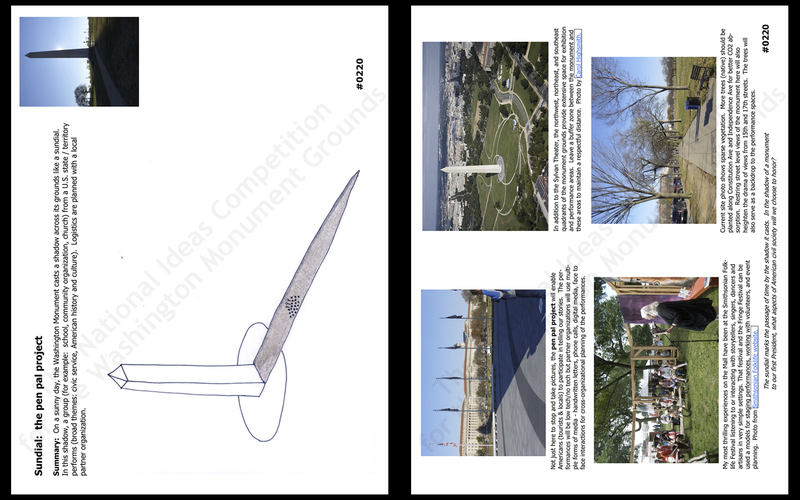 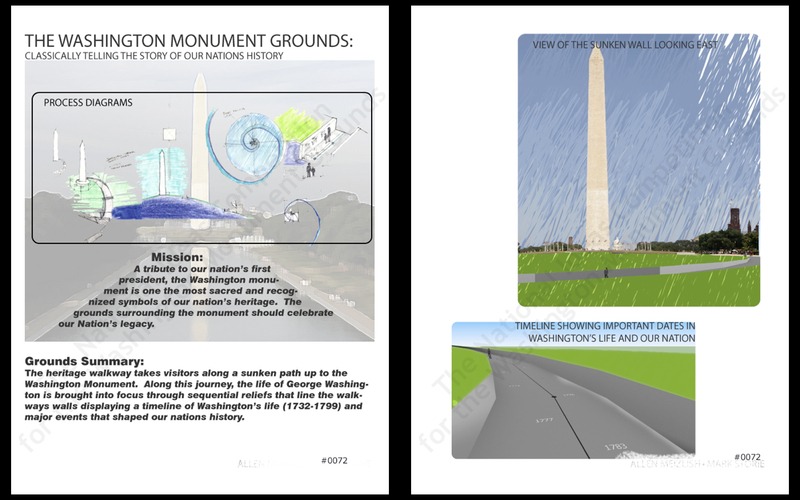 In addition, all Stage 2 submissions should develop the original idea in a way that shows clear attention to the historical, cultural, and ecological context of the Monument and grounds. 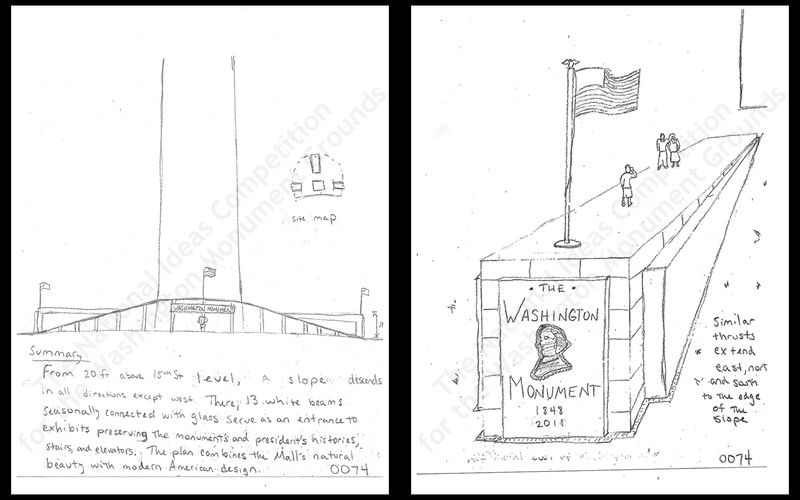 The following are some themes you may wish to take into consideration as part of the Stage 2 submission. 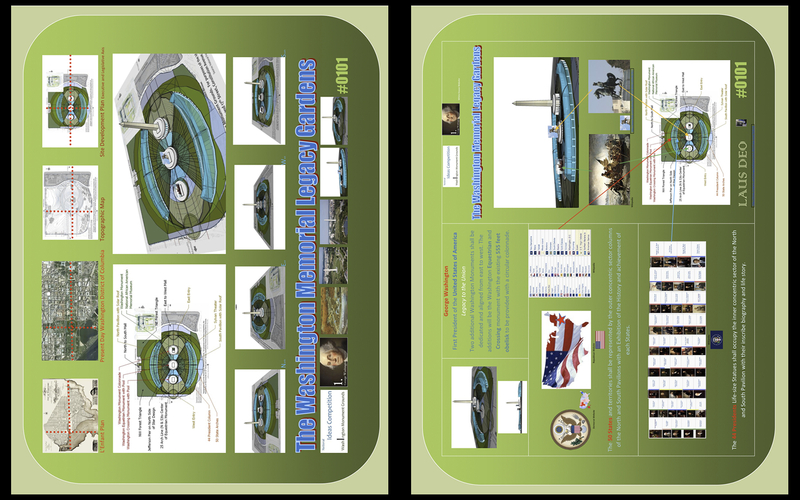 Additional historical and background information is posted on the Resource page of the Competition website www.wamocompetition.org.